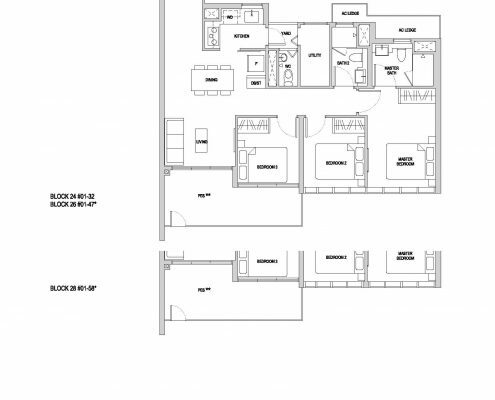 Before making the decision to purchase Affinity at Serangoon, there are several factors that buyers should keep in mind as floor plans is the most basic. 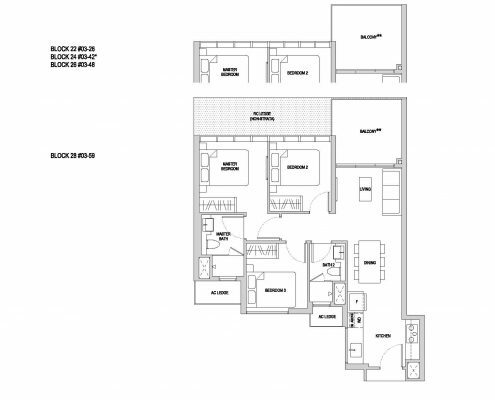 Knowing what exactly you are buying, whether it is completed, under construction, the floor plan of Affinity of Serangoon might come handy. 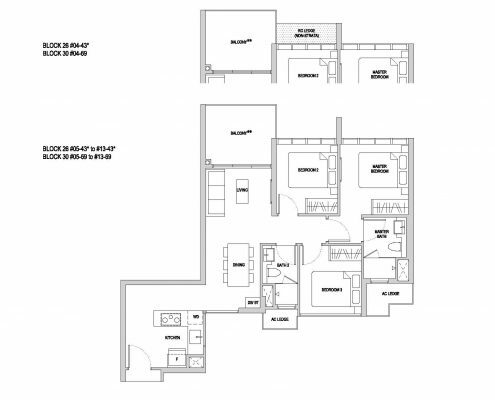 Most homebuyers don’t get full extent of information from floor plan due to less knowledge of symbols. 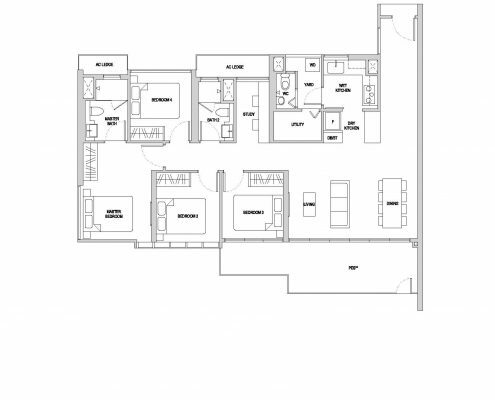 However, by having some know-how of floor plan, decision making becomes much easier. To position yourself according to floor plan, locate the main door first. 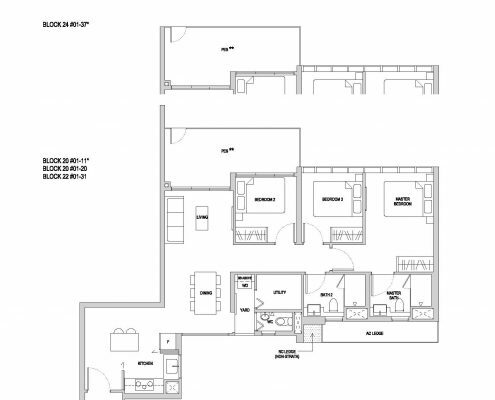 This will make visualization easy. 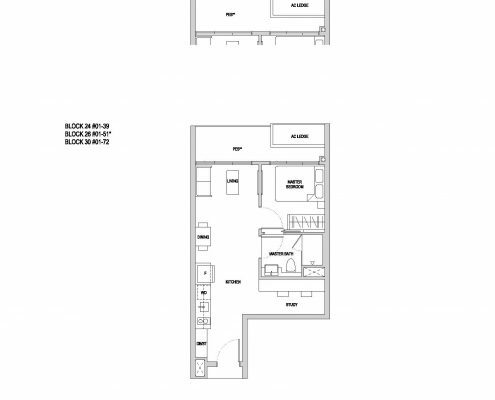 But, how to find the main door? 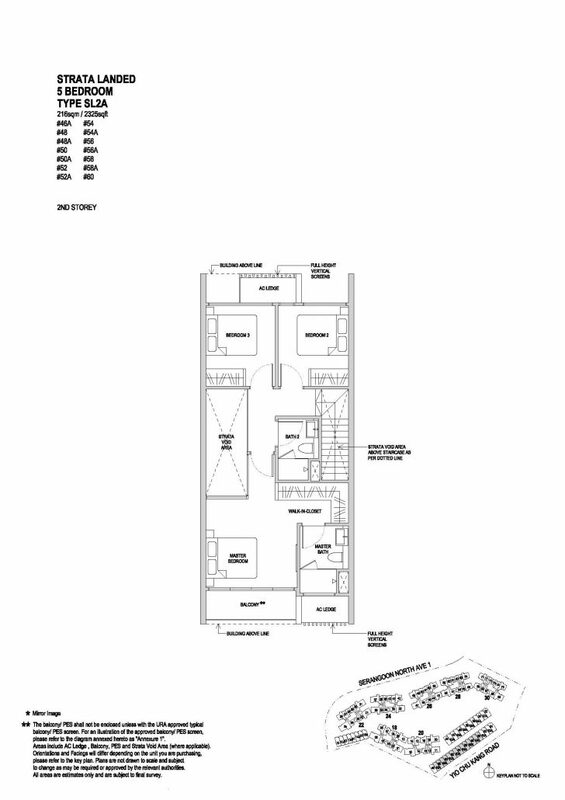 Knowing the symbol for doors i.e. 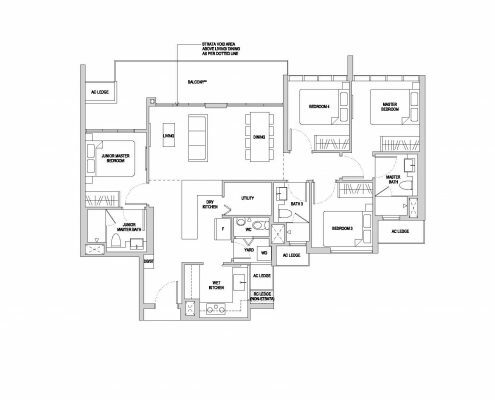 a quarter circle can help us, because doors not only tell the orientation but also give an overview of room’s connection. 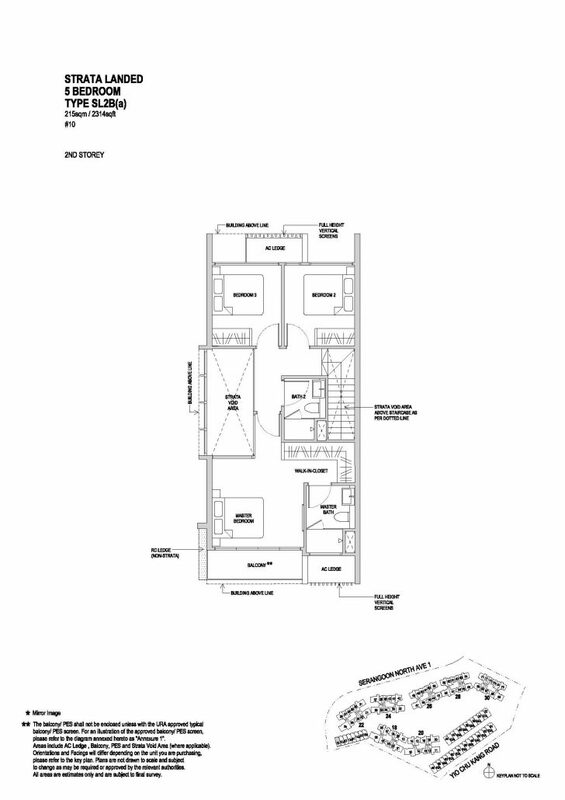 Observing the arc of the door symbol is importantbecause it will indicate whetherthe door swings inside or outside. 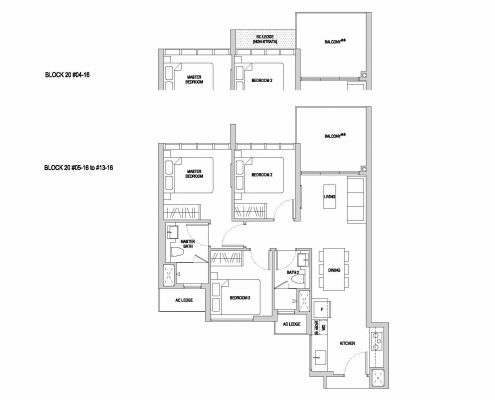 In Singapore homes, most doors swing inwards except bomb shelters in HDB flats. Moreover, it is important to leave some space empty for the door to be opened which can be decided by seeing the direction of swing. 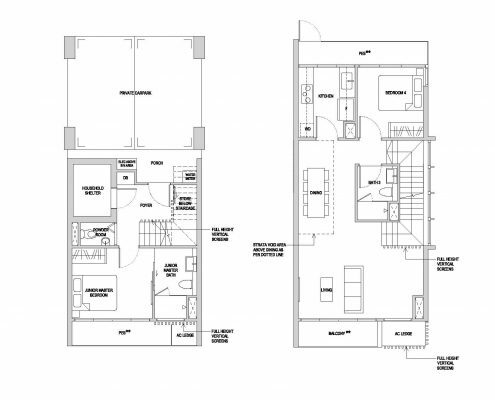 Two types of windows are mostly used in Singapore homes. 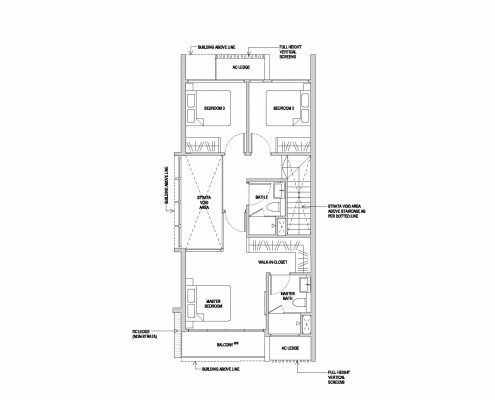 In floor plans, Sliding windows are showed by a thin hollow line by the walls. 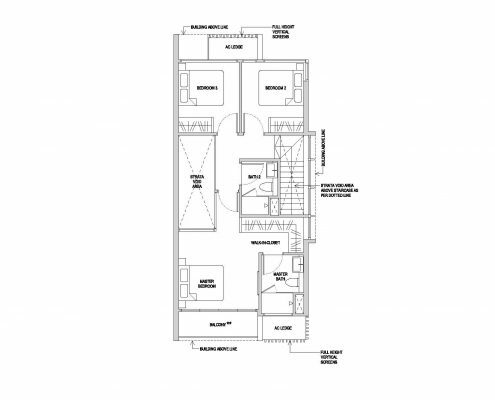 Casement windows symbol is similar to doors except that they usually come in pairs. 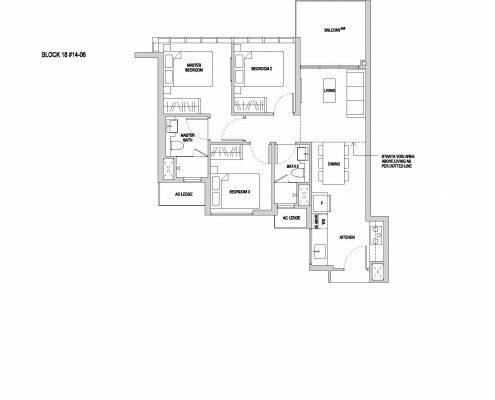 It is imperative for home buyers to know which walls can be easily removed because of the open-area concept popularity nowadays. 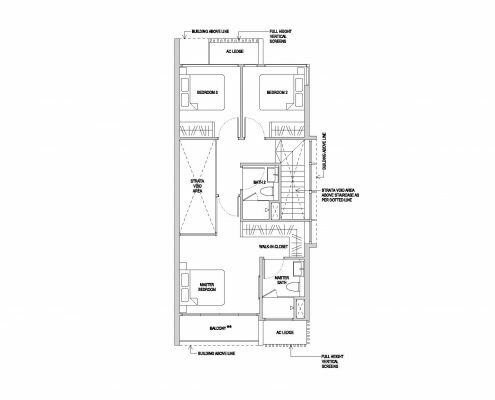 Structural walls are hard to remove while non-structural walls are easy to remove. 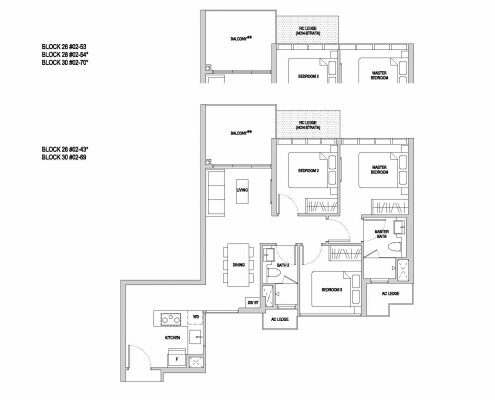 But, how to know which is best for your floor plan? 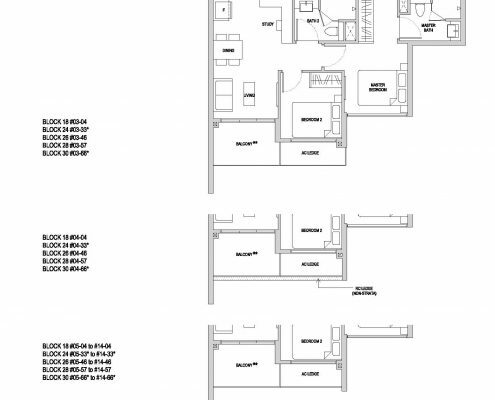 Thick bold lines show structural walls while non-structural walls are indicated by thin lines. 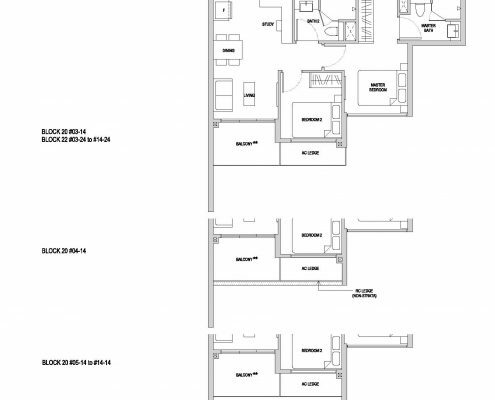 The walls that cover the entire part are likely to be structural while the rest are more likely to be non-structural except the bomb shelter in HDB flats. 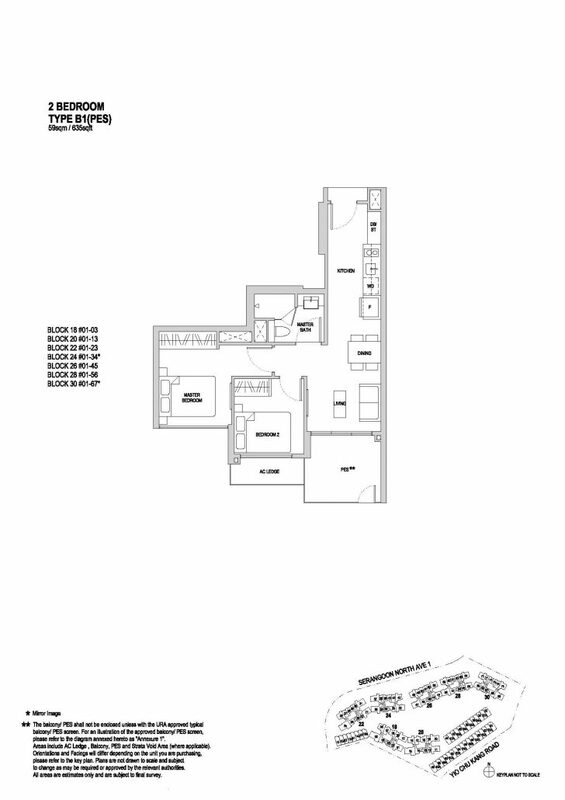 Visualize yourself walking in through the main door to each unit. Then, ask yourself if you want this? Depending whether families like to prefer entertainment over food; they decide if they want main door opened to the kitchen or they want to open it to living area. 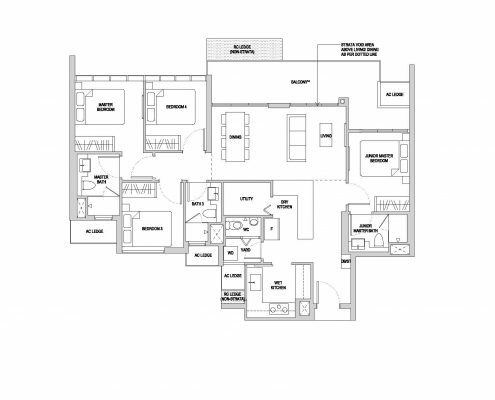 Moreover, each room’s connection is vital as parents prefer master bedroom side by side to children’s room to ensure their safety. 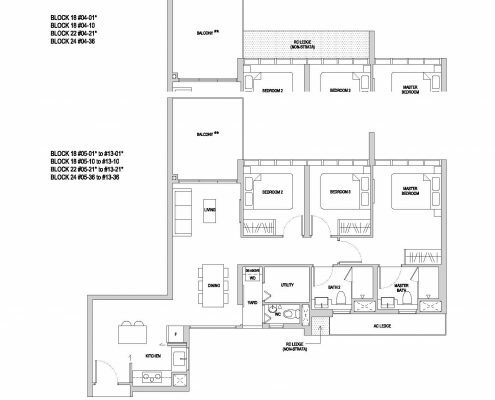 Talking about corridors, some people like to split up their living room and bedrooms to long distance via long corridors and those who don’t usually spend time in living room neglect the use of long corridor. 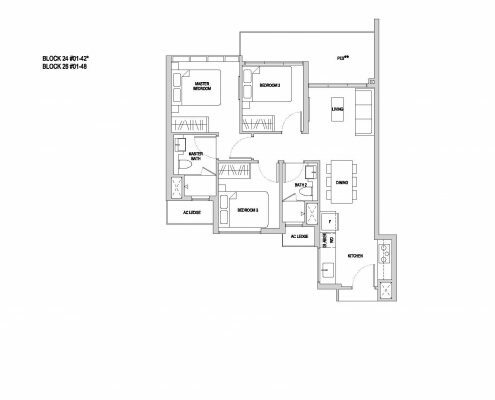 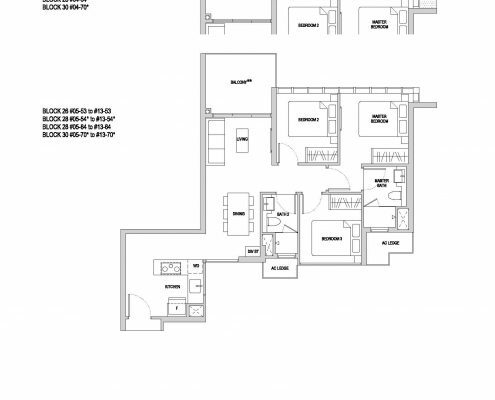 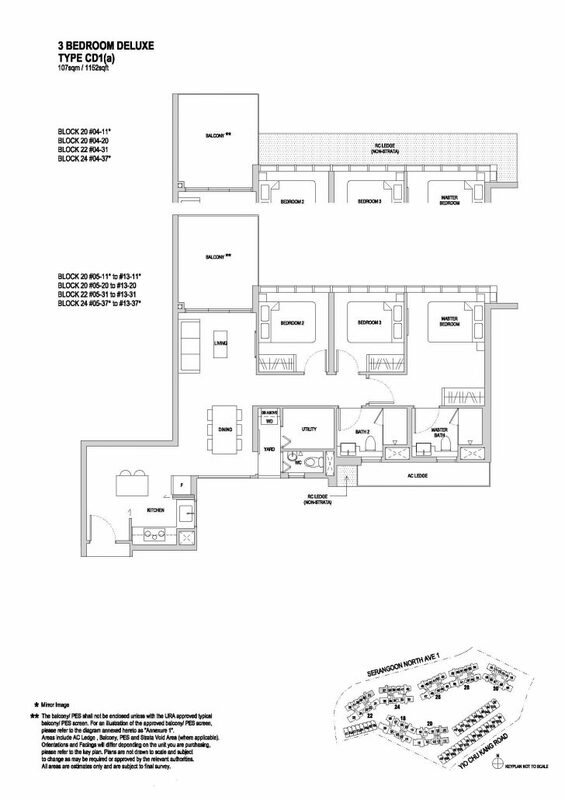 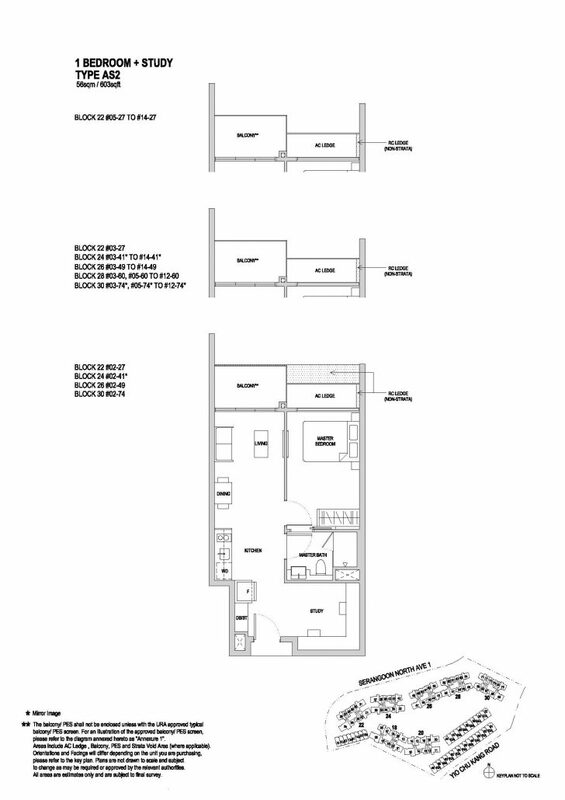 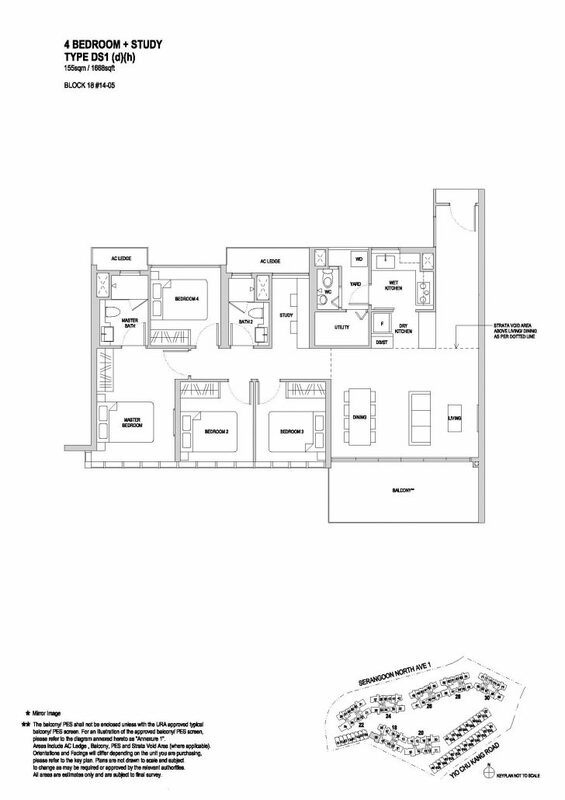 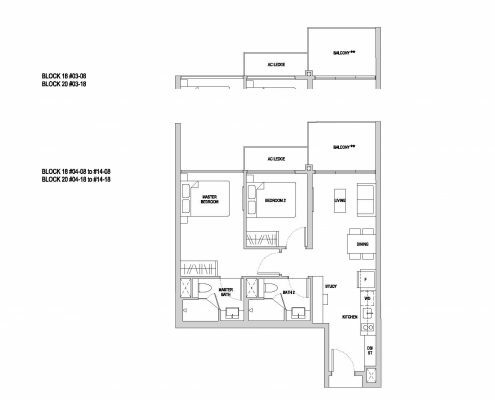 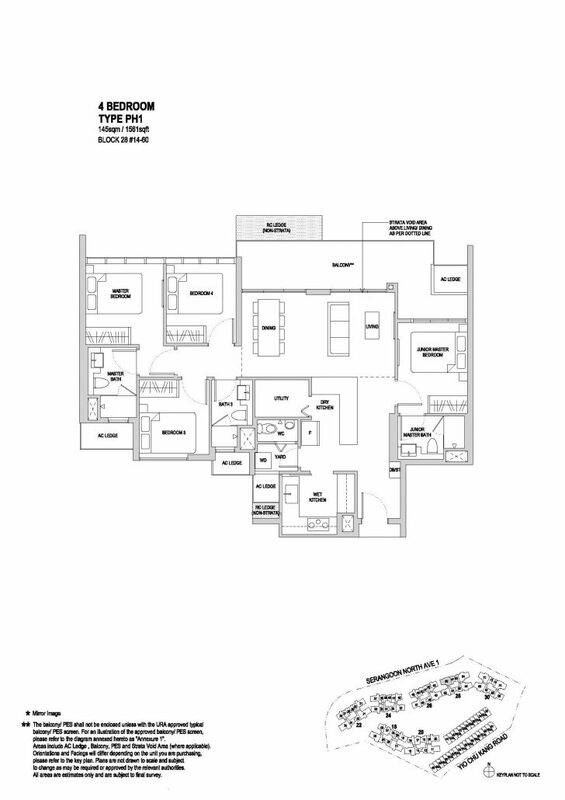 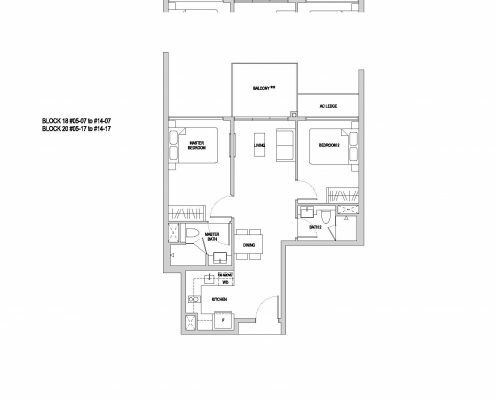 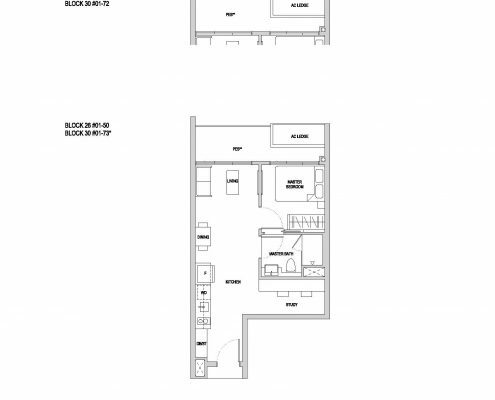 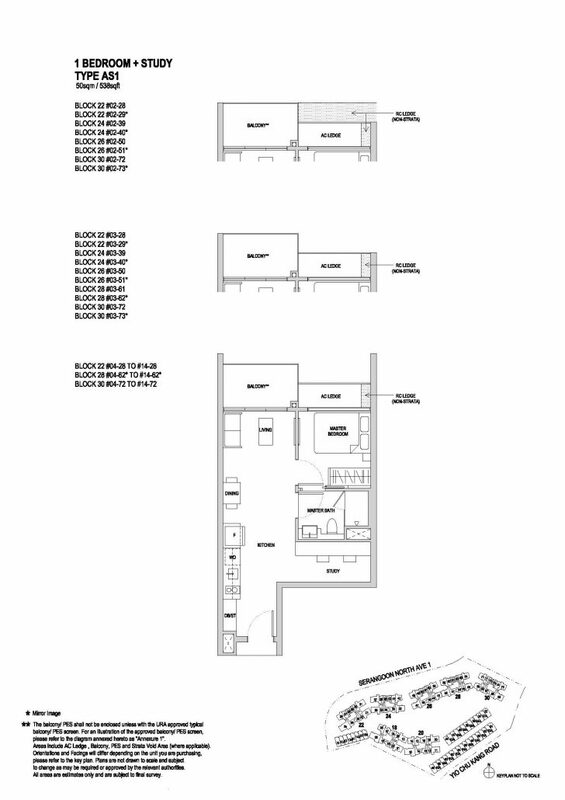 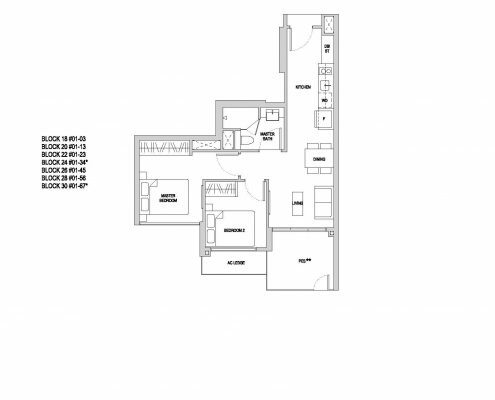 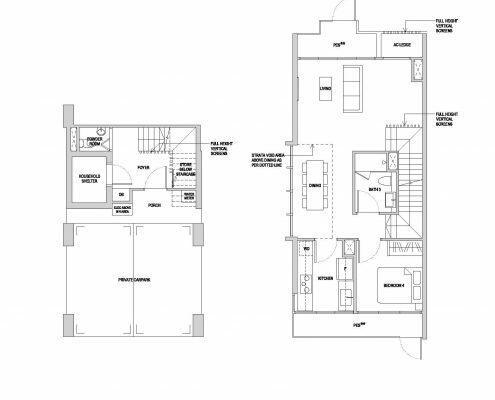 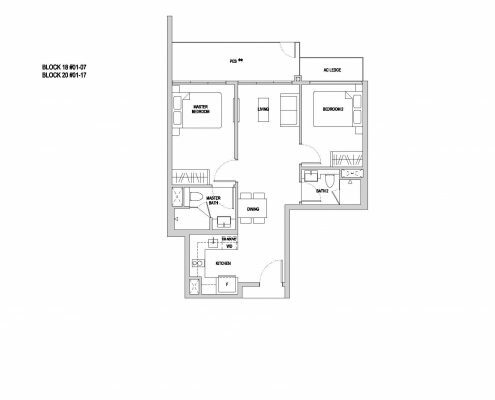 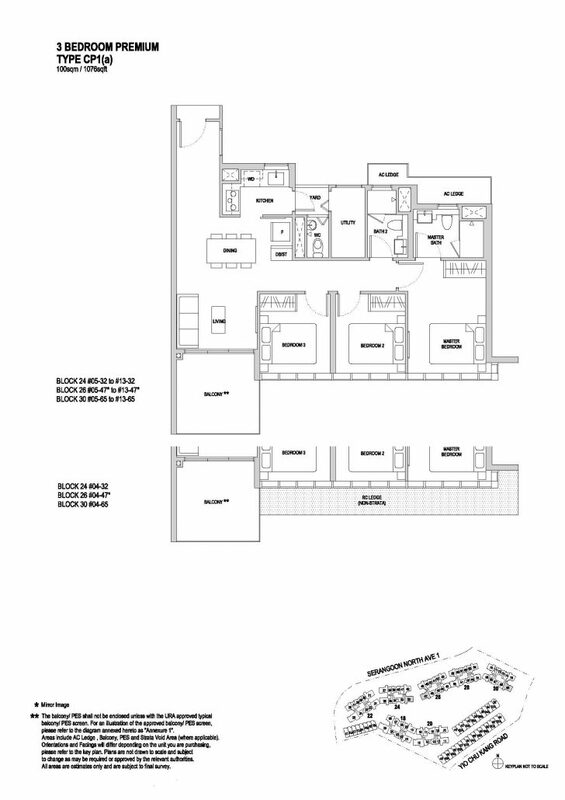 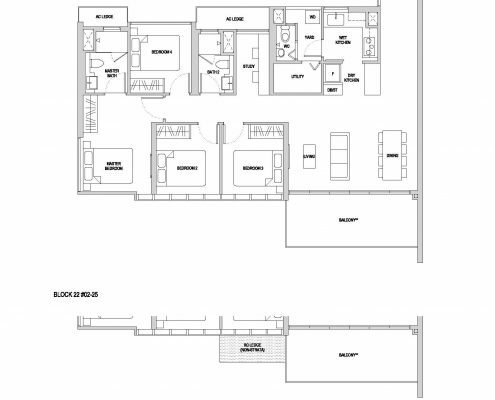 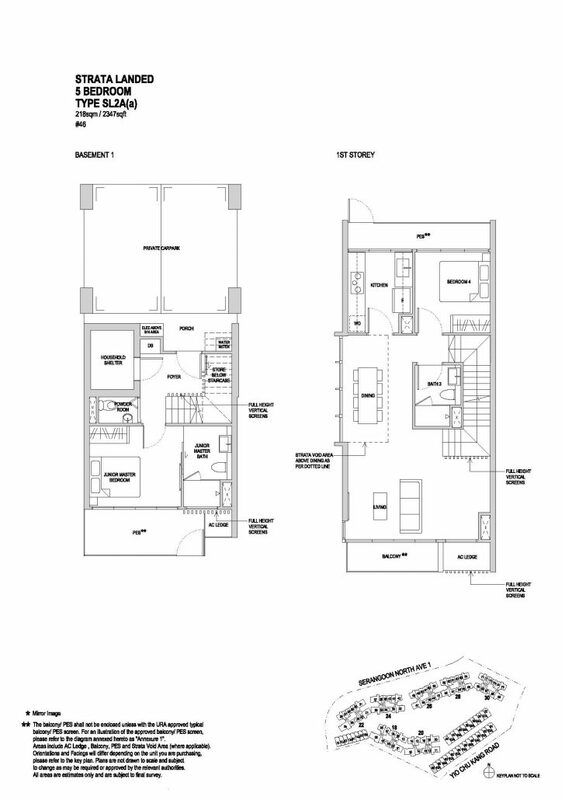 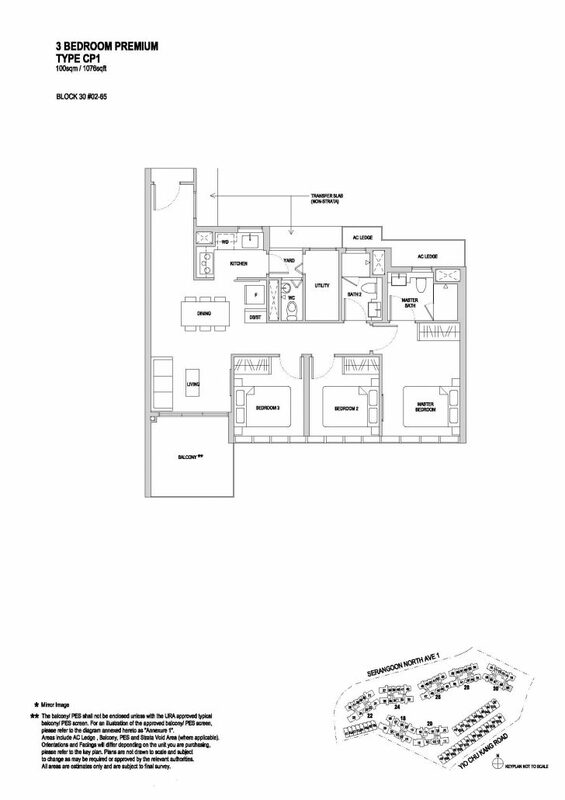 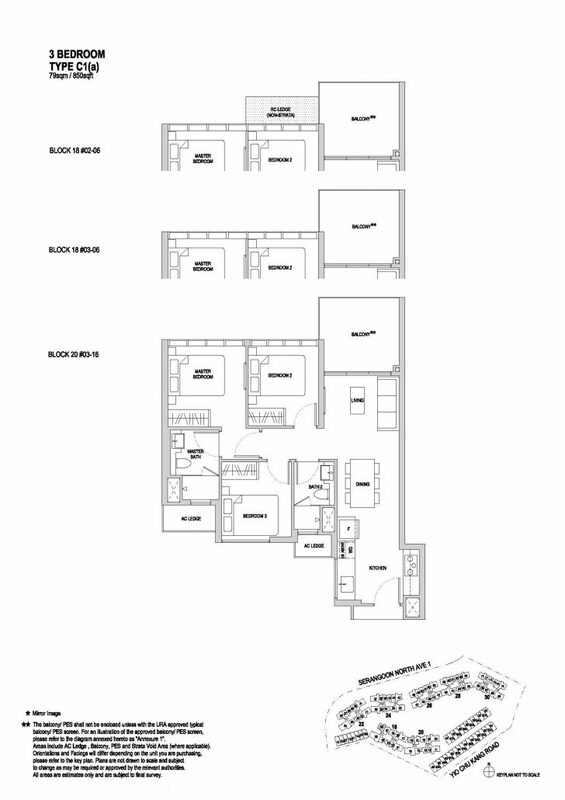 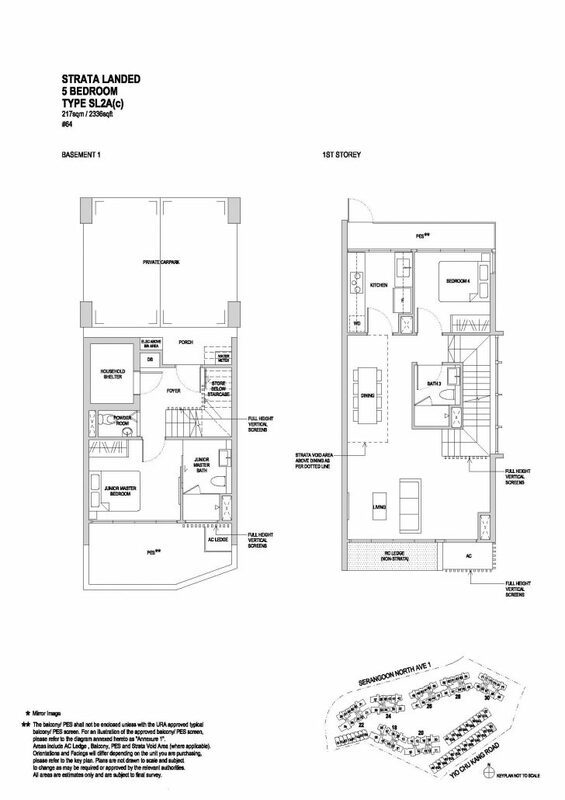 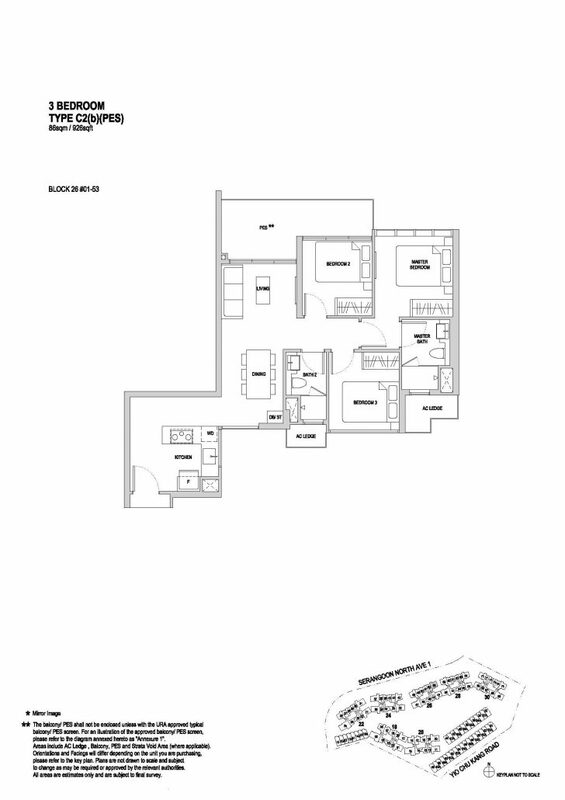 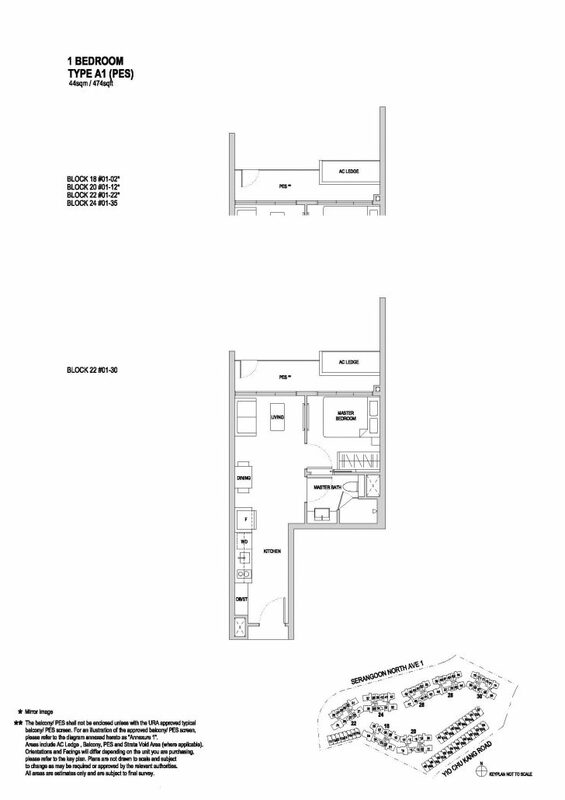 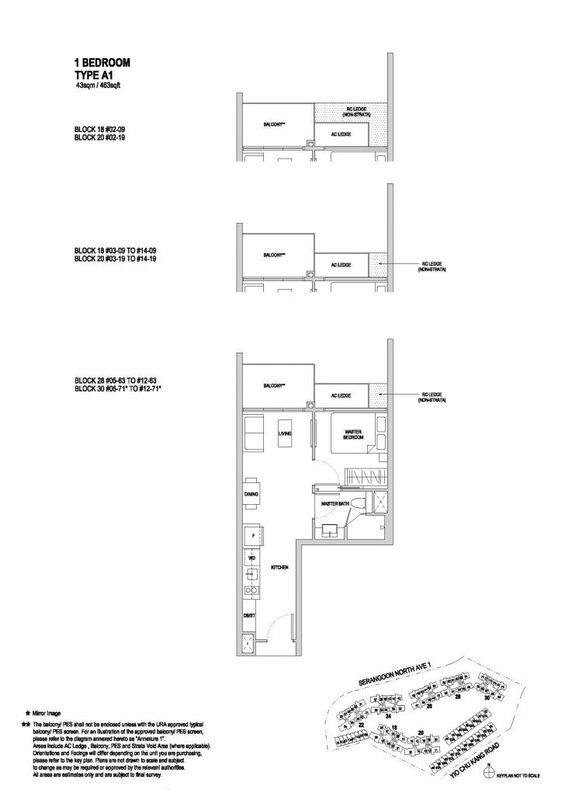 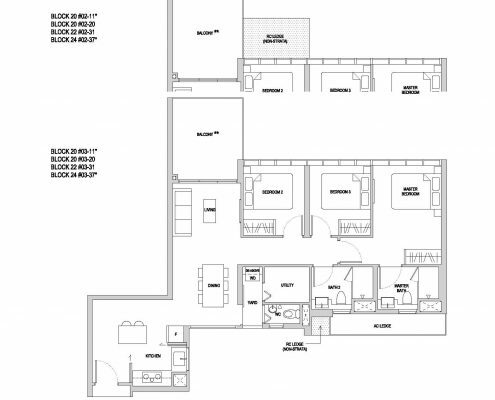 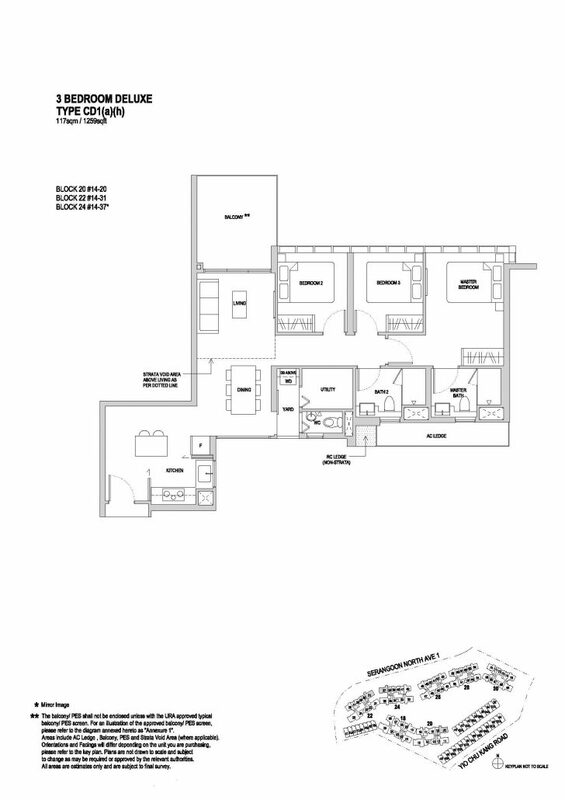 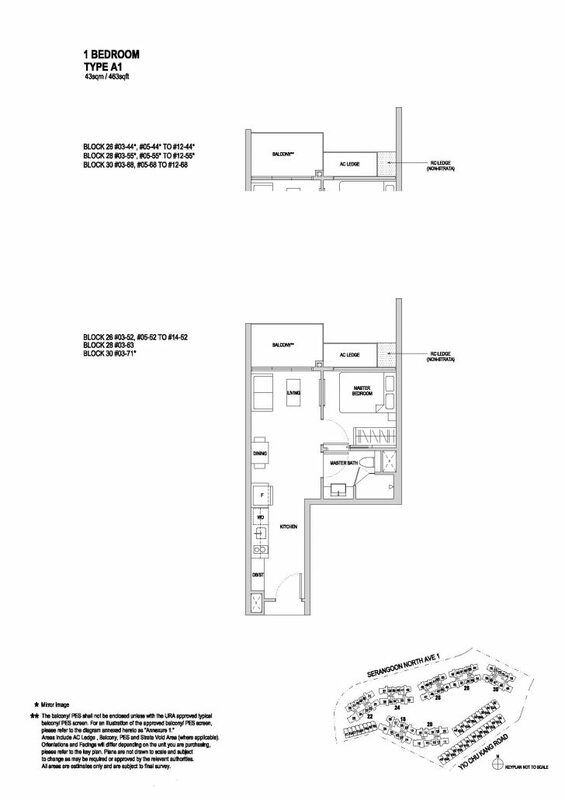 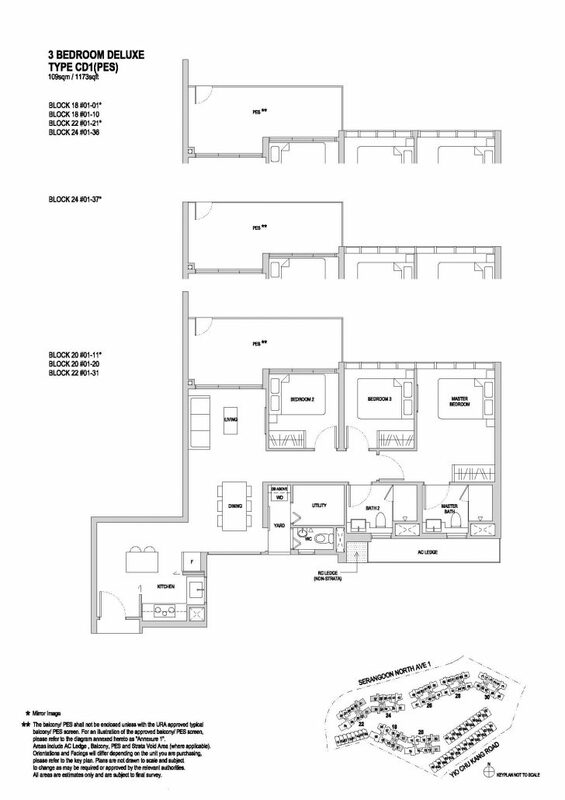 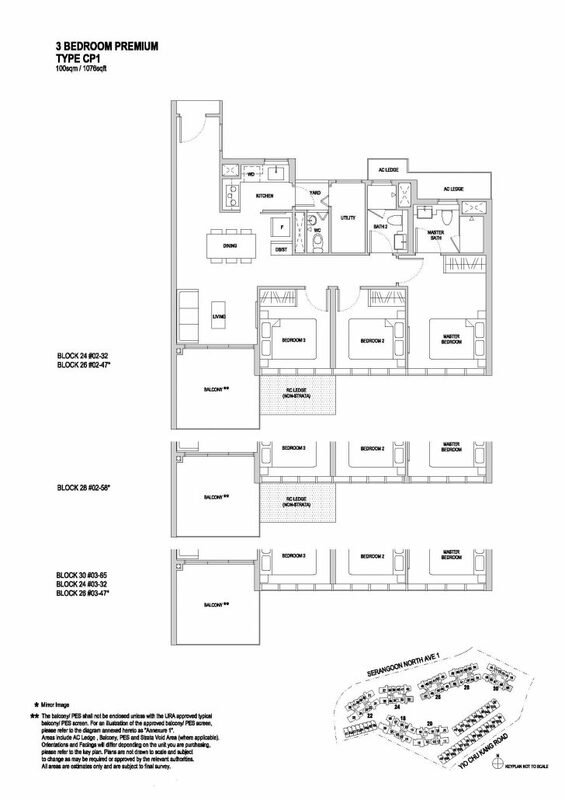 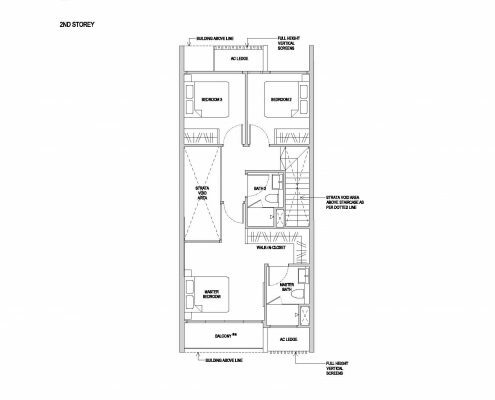 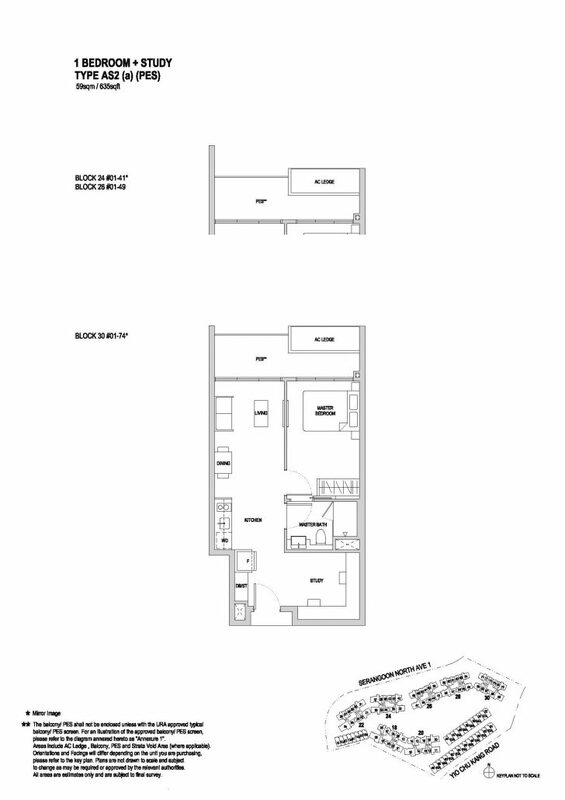 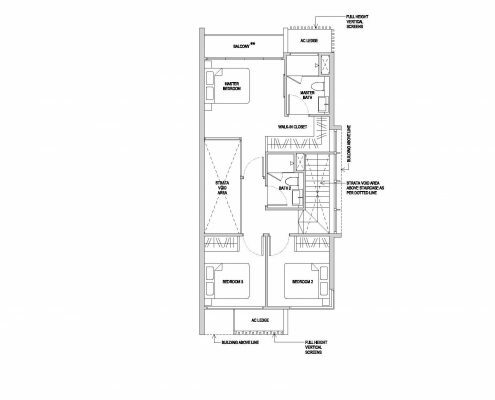 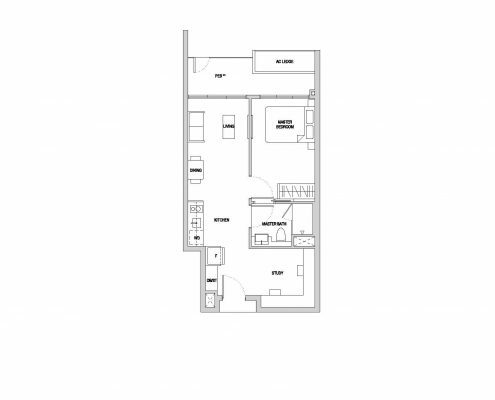 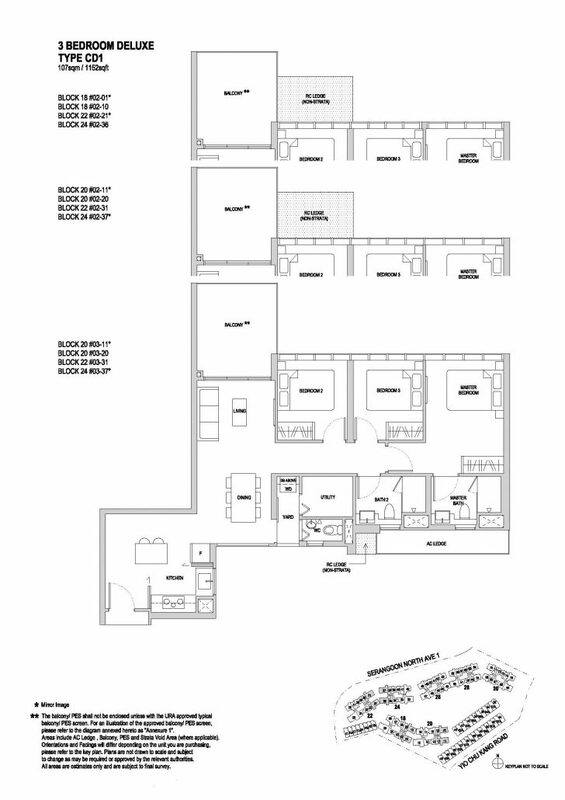 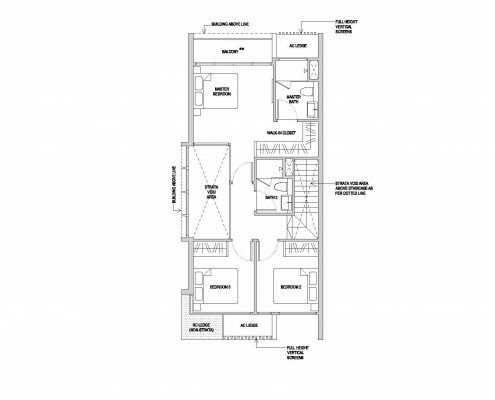 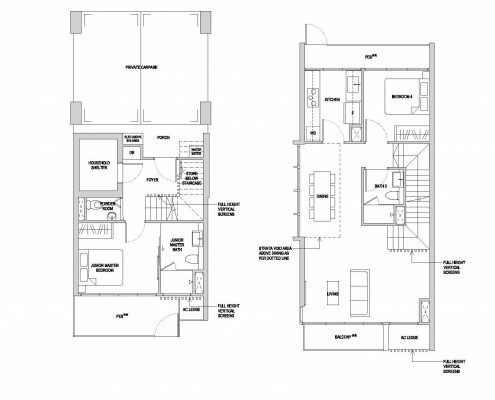 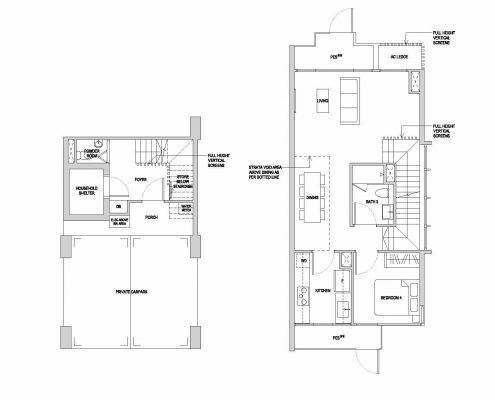 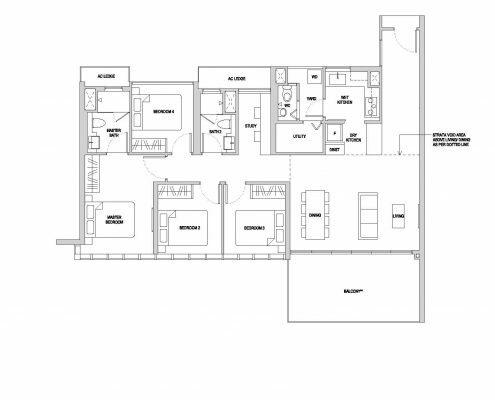 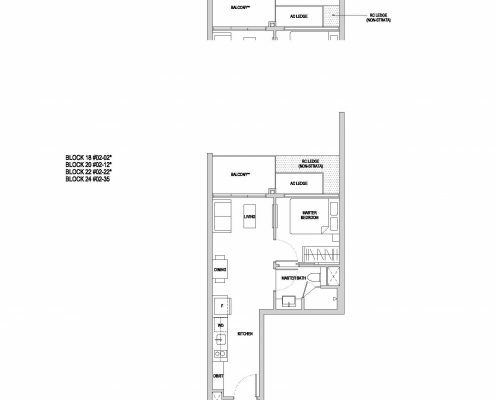 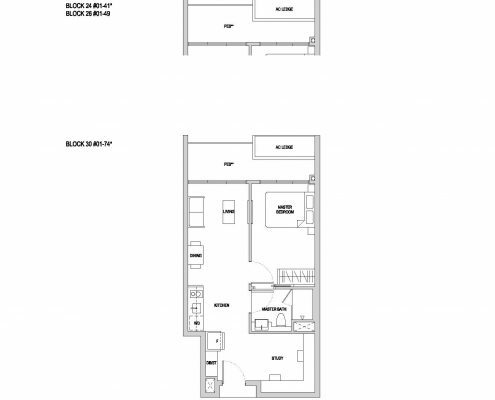 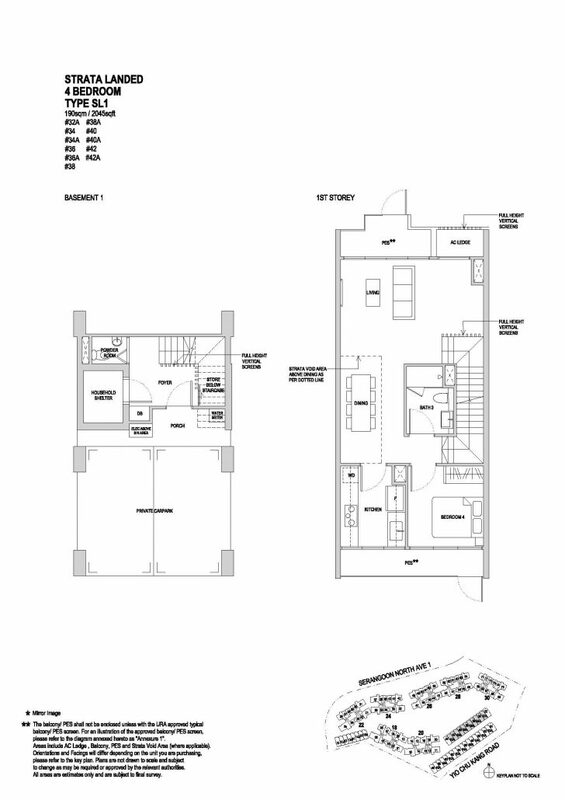 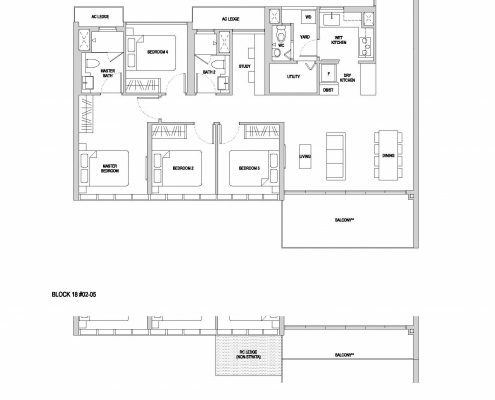 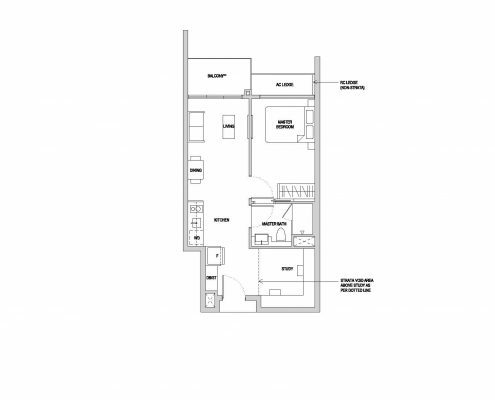 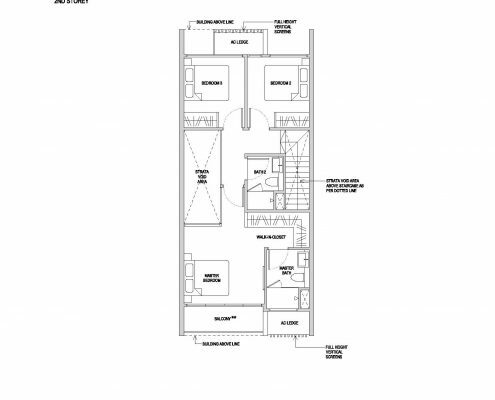 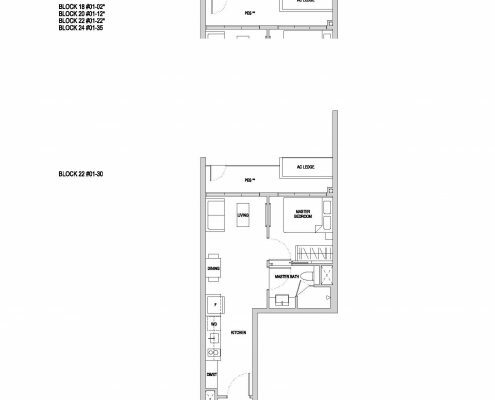 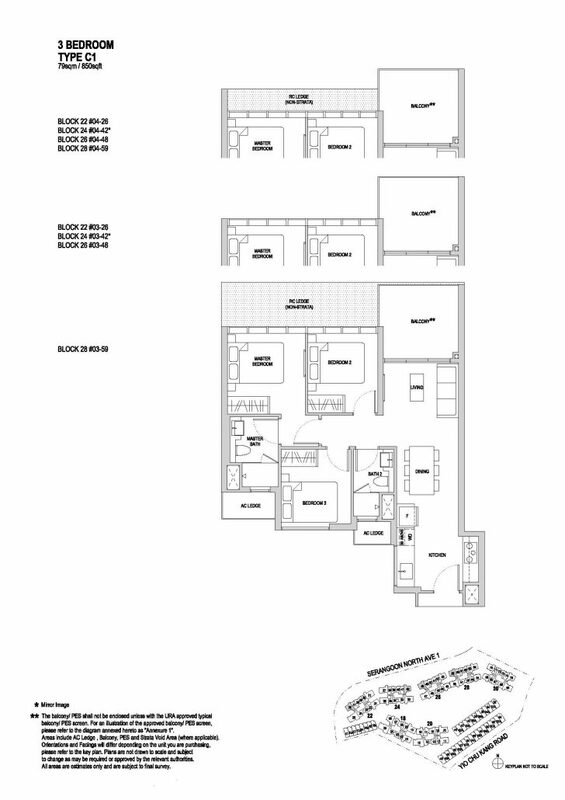 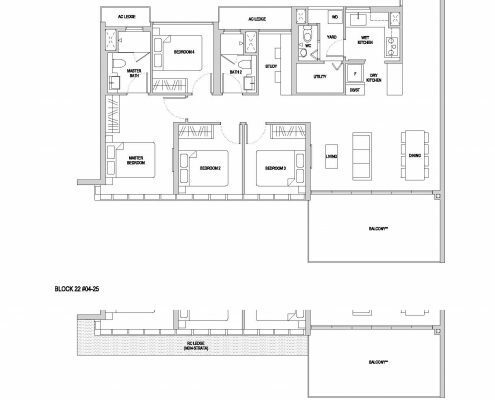 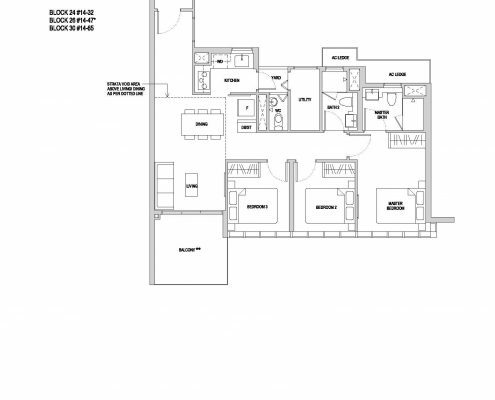 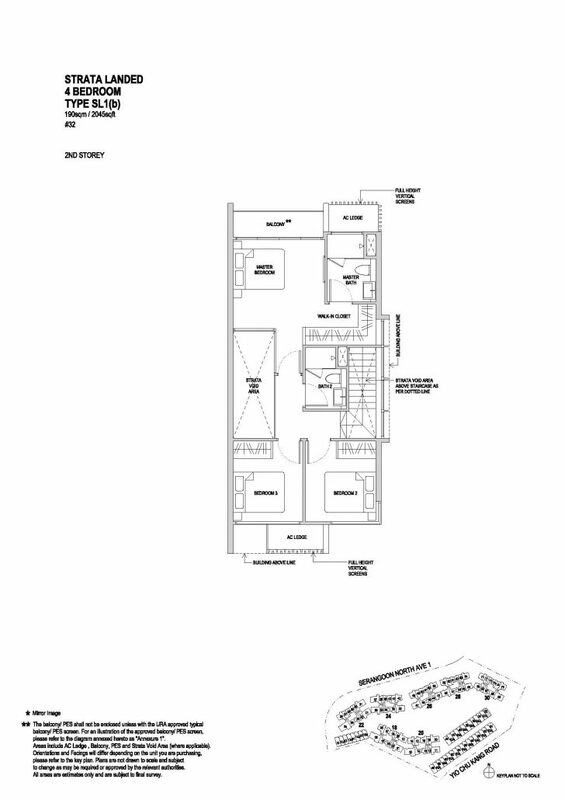 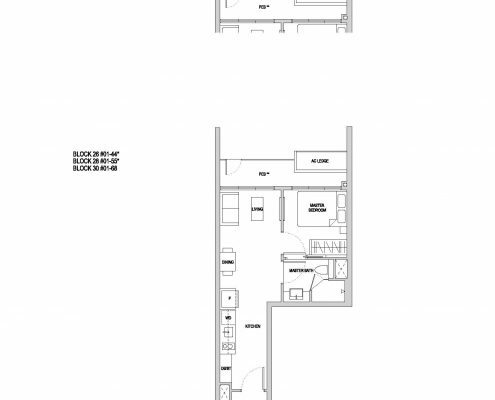 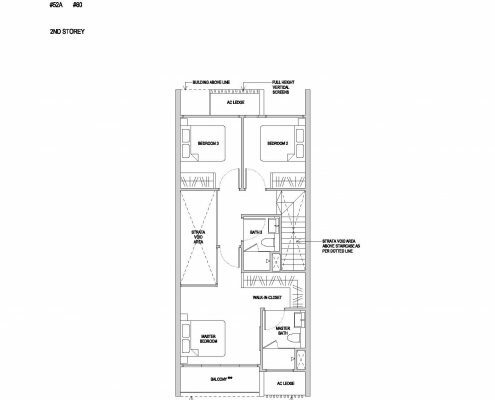 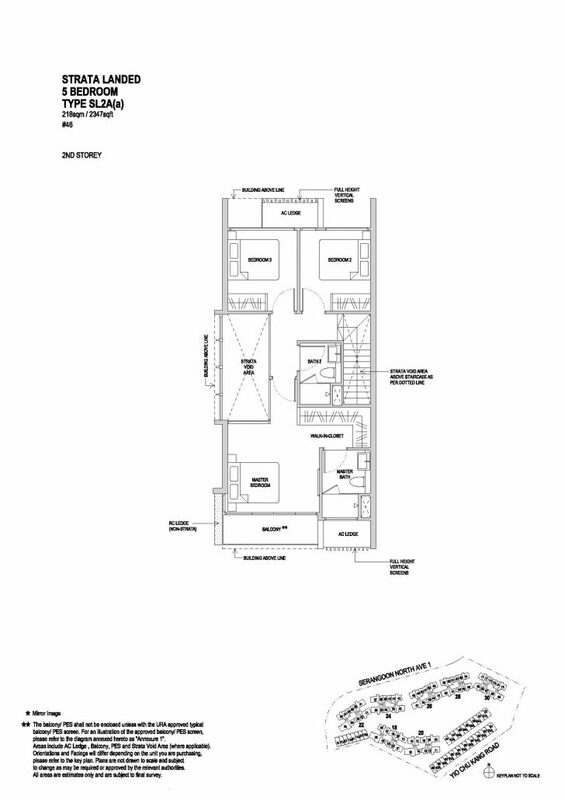 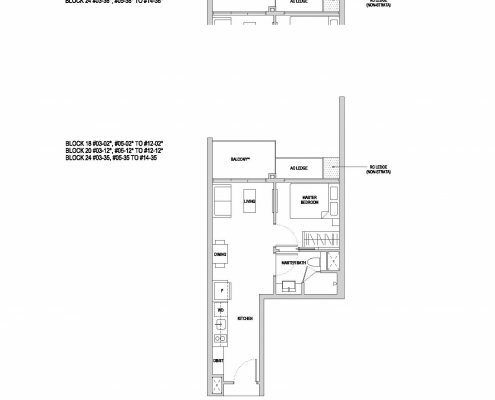 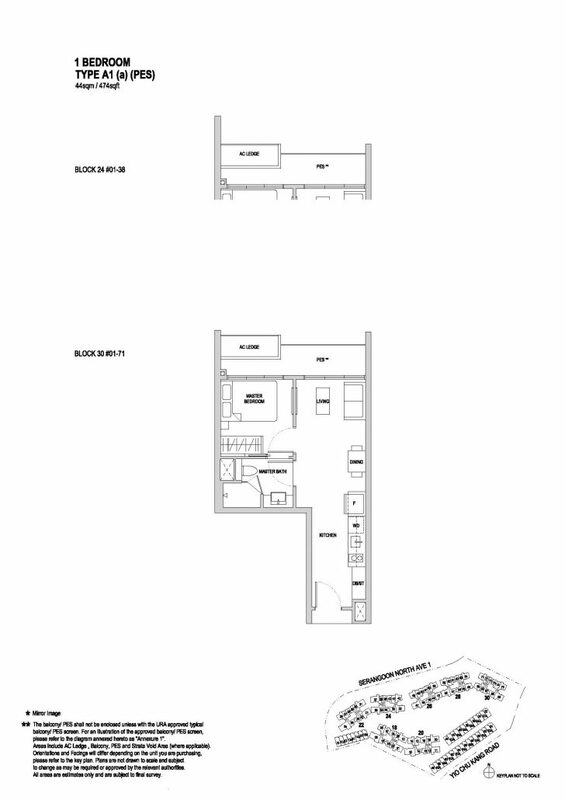 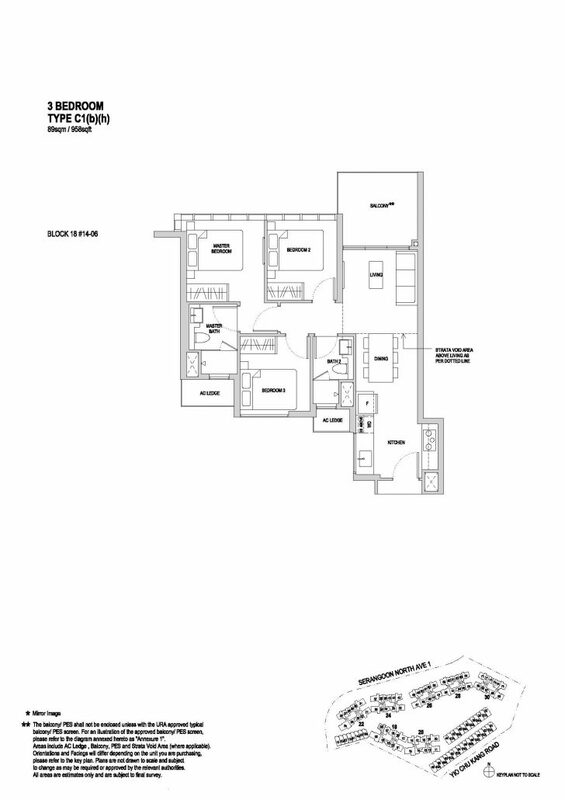 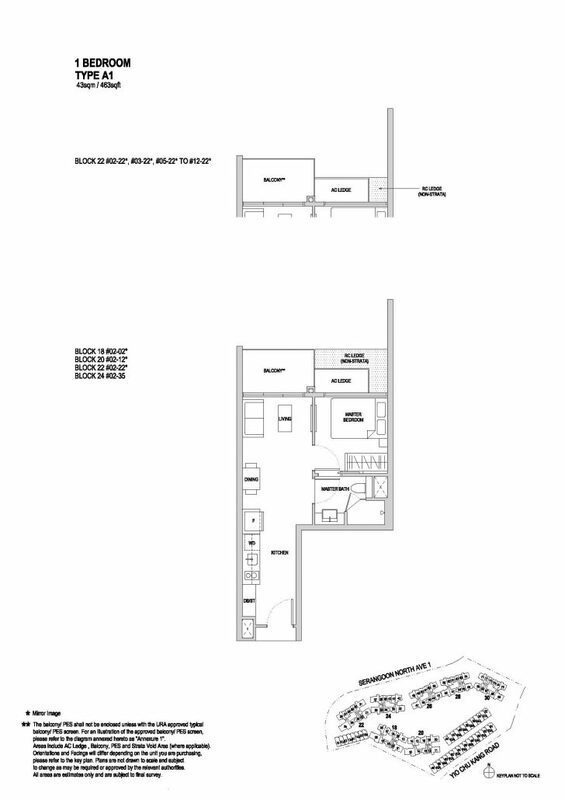 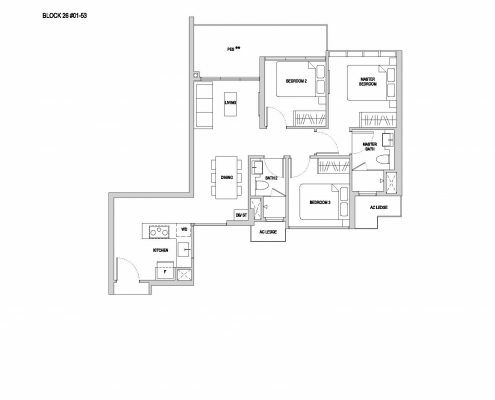 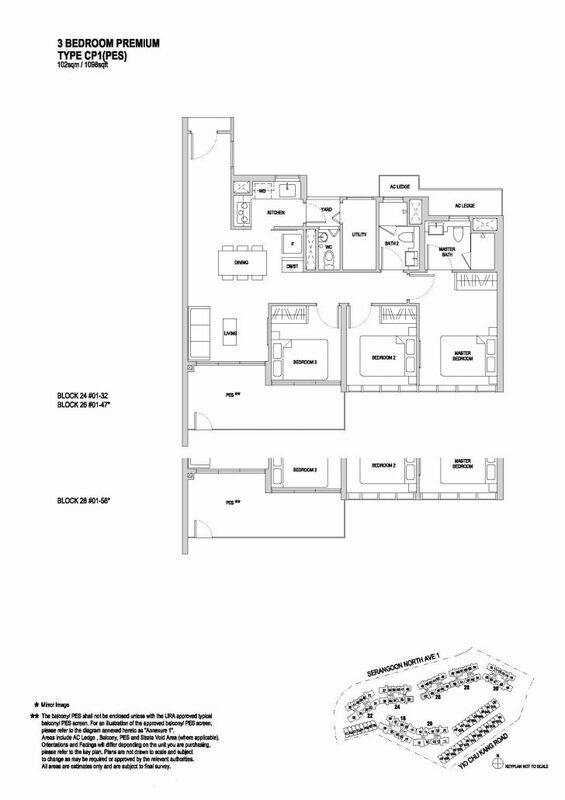 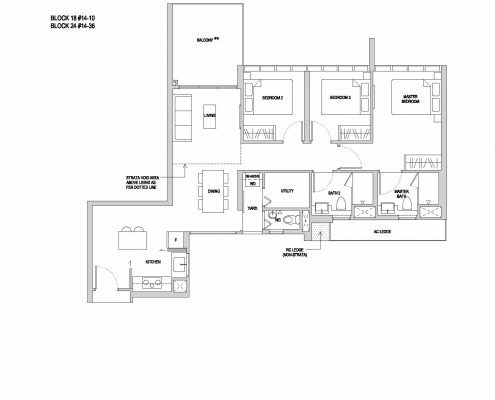 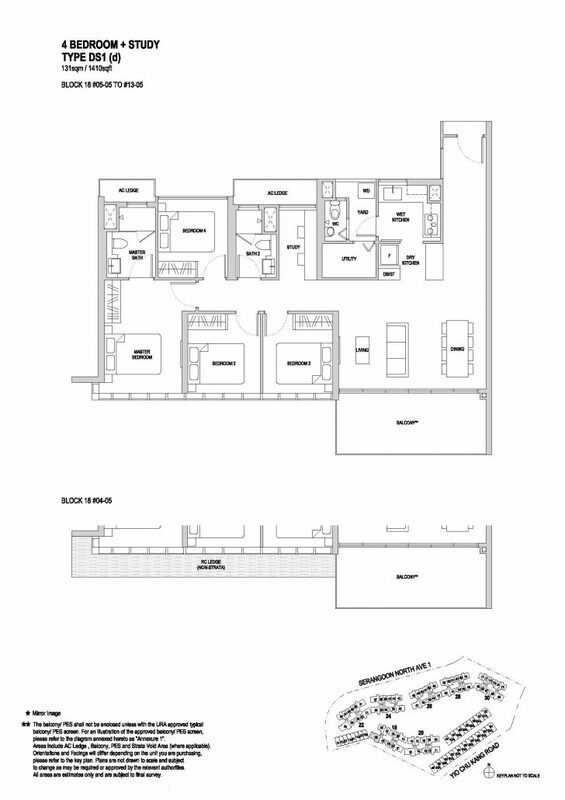 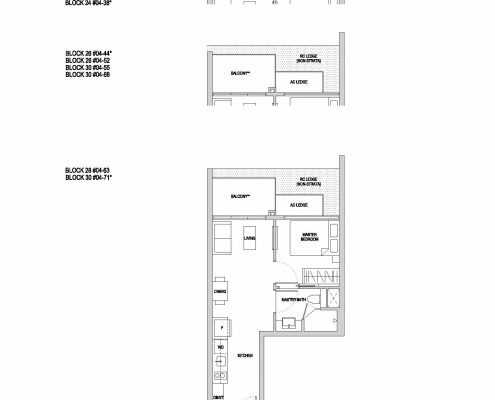 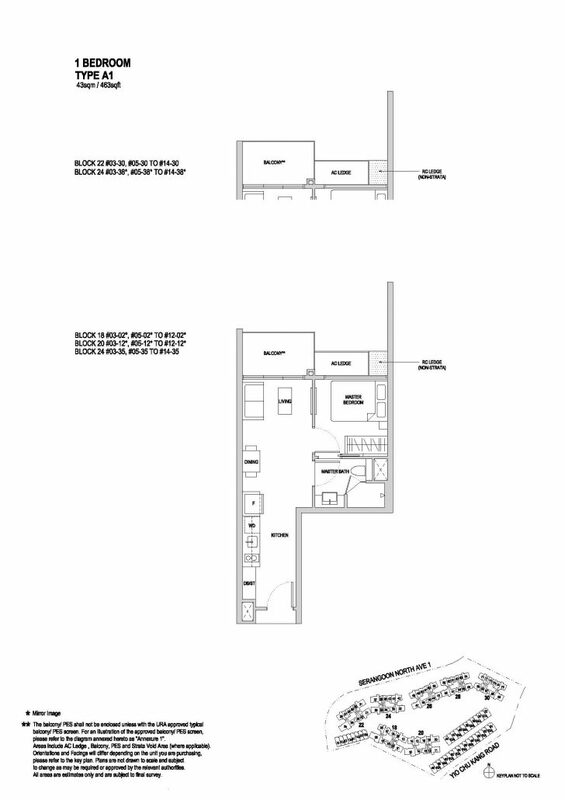 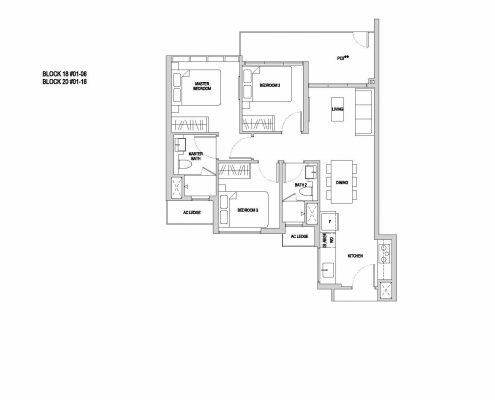 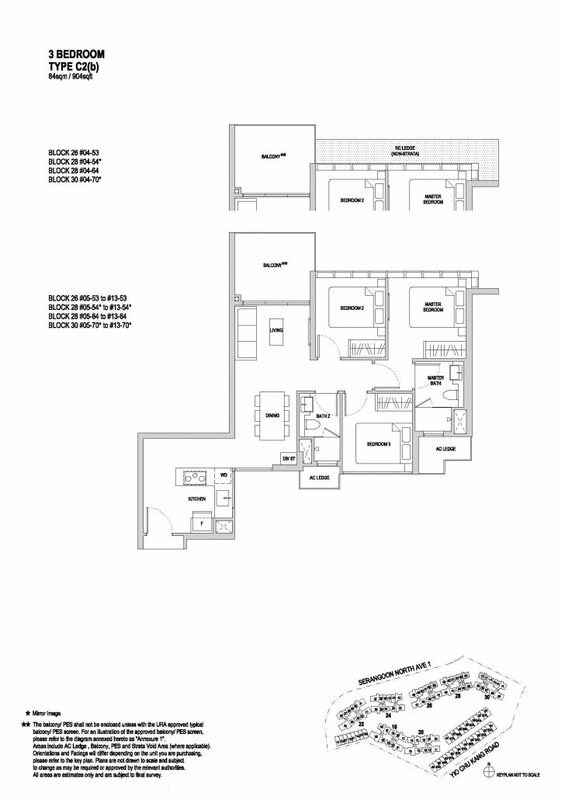 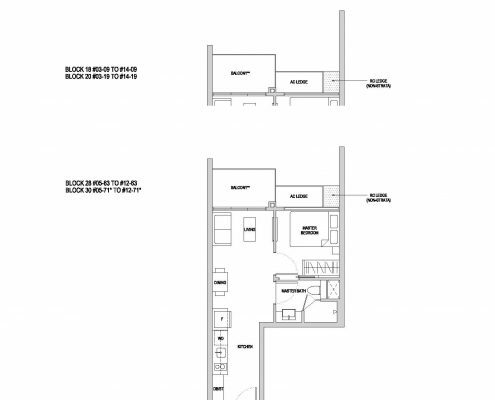 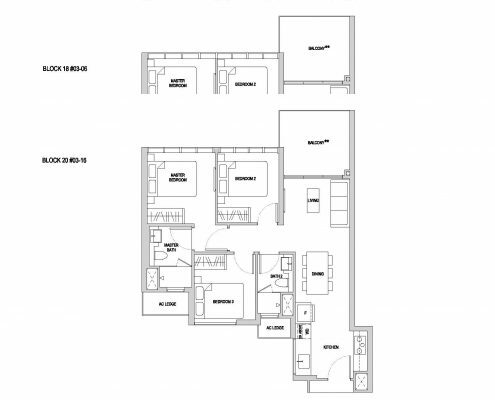 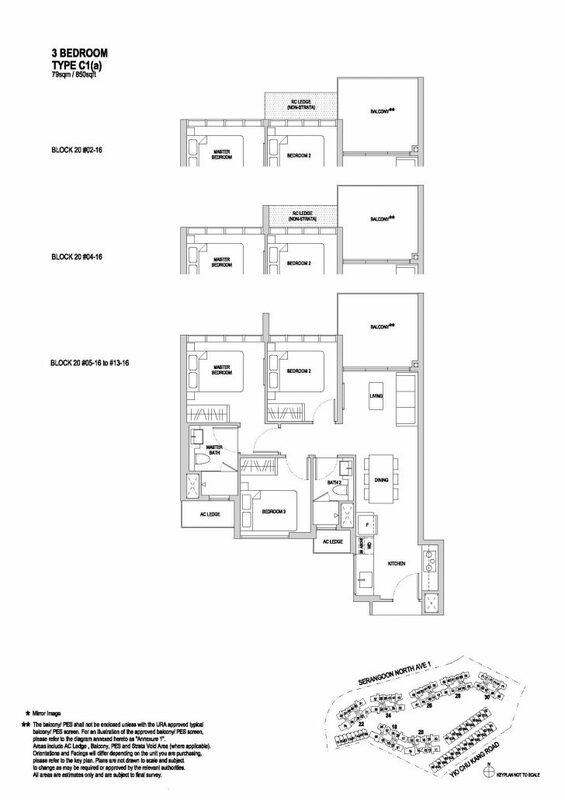 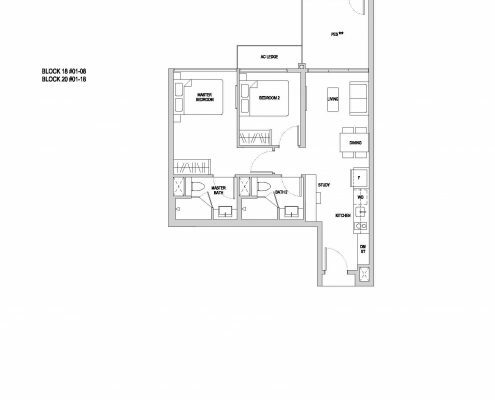 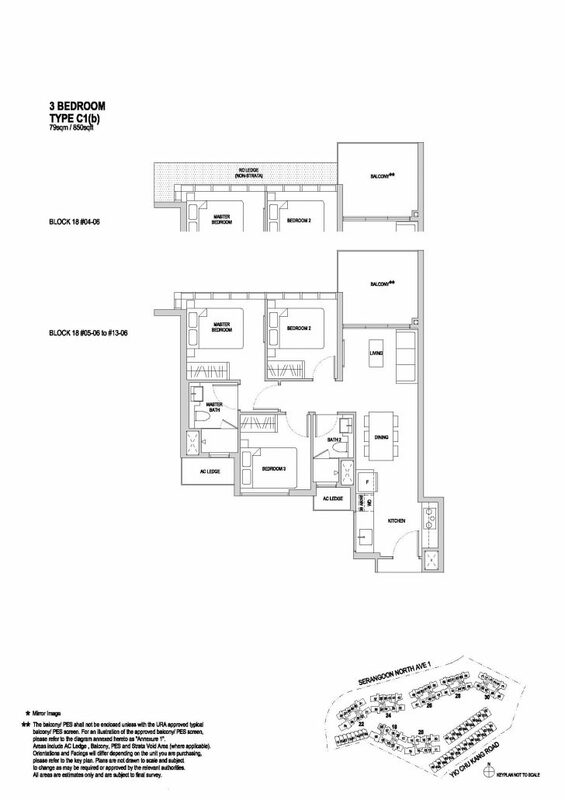 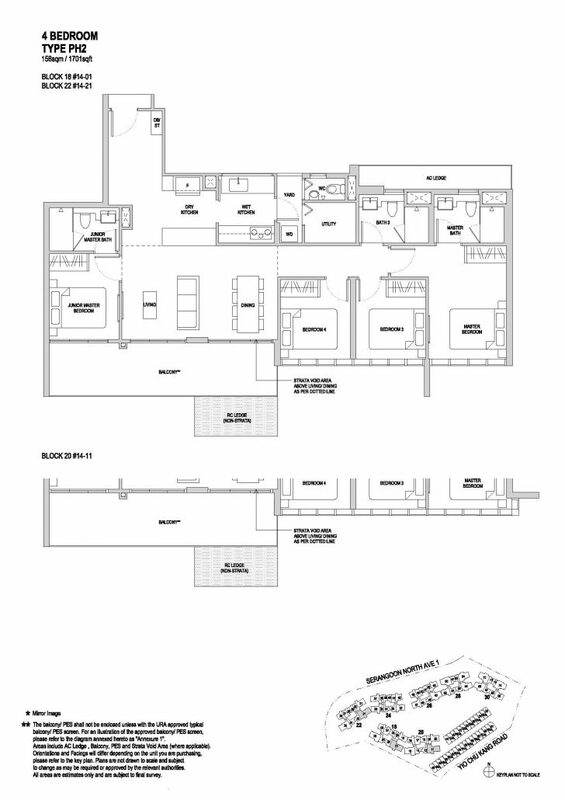 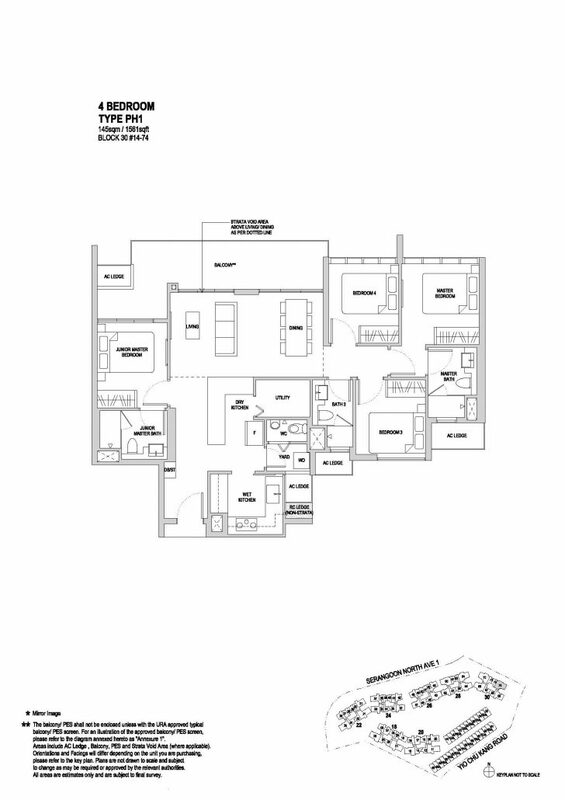 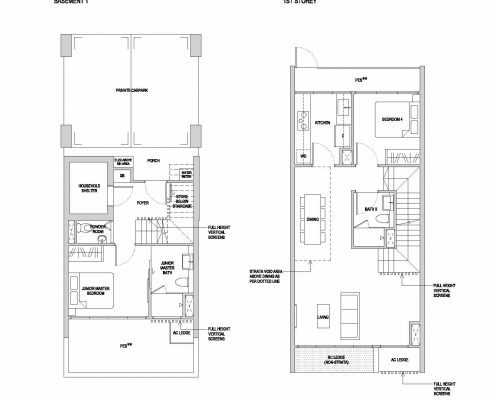 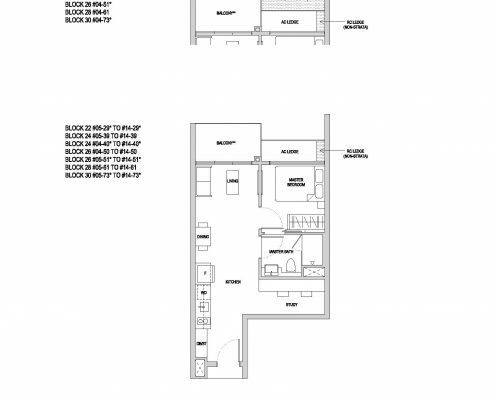 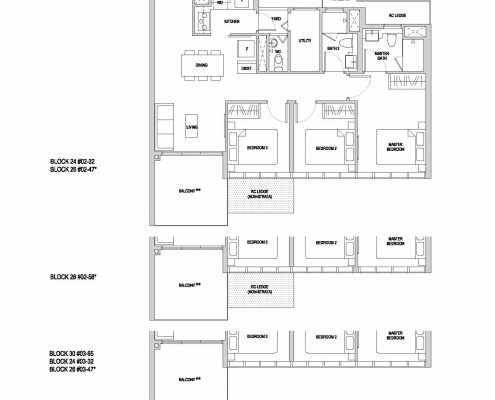 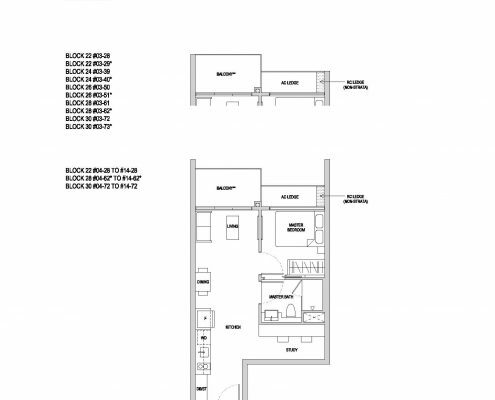 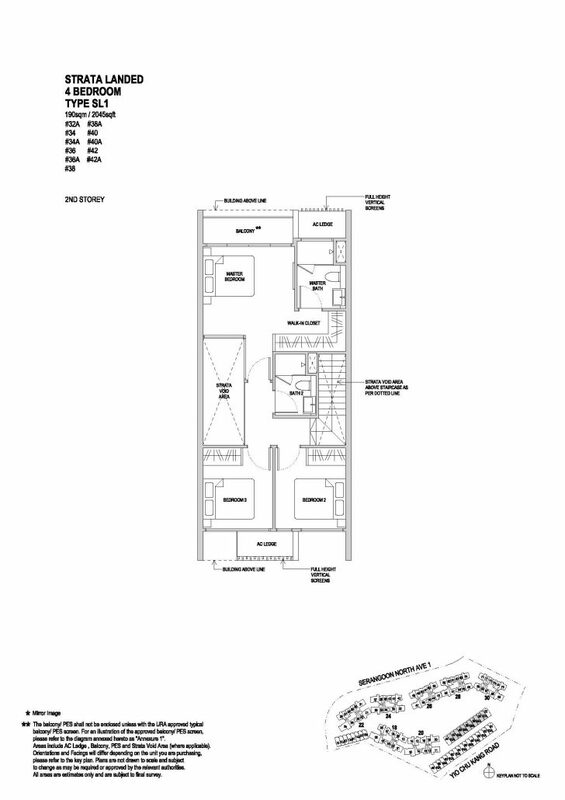 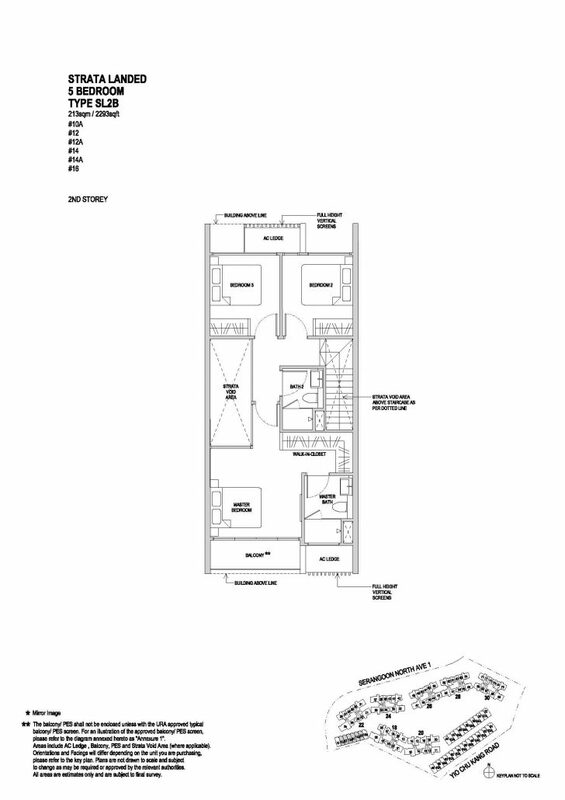 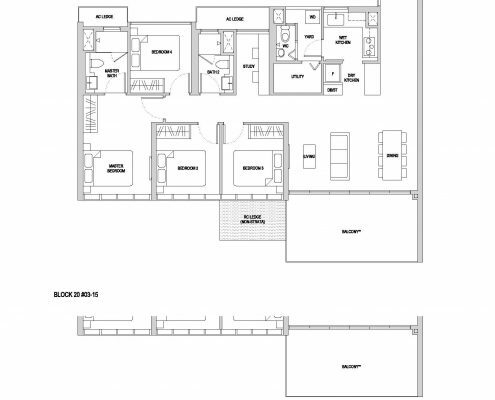 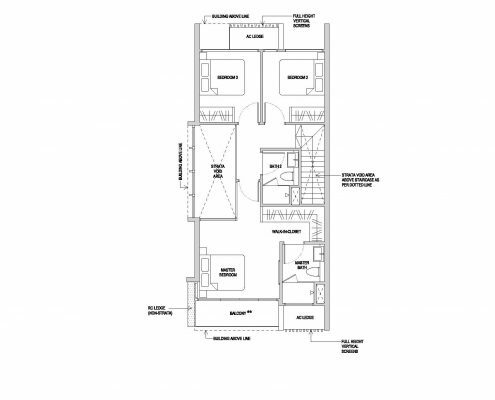 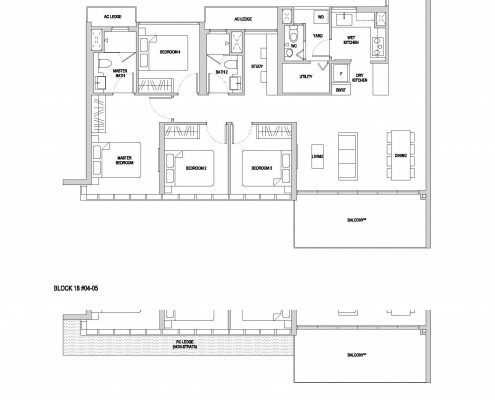 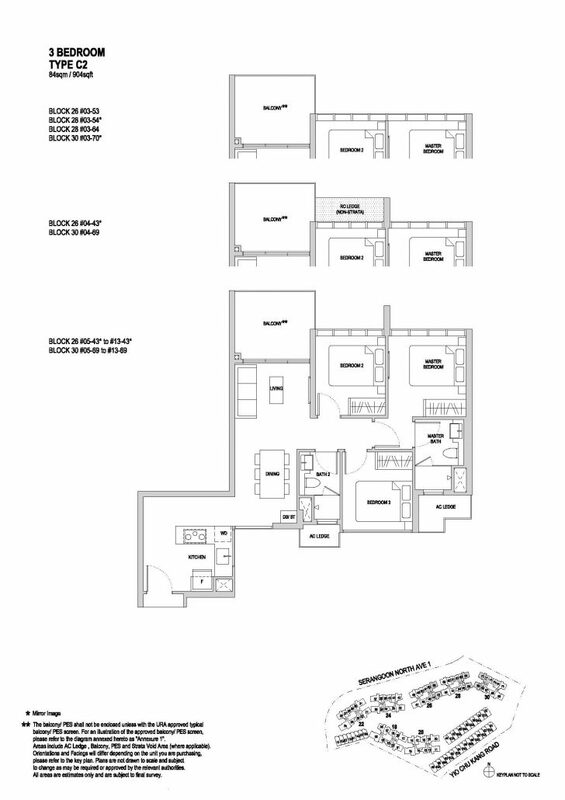 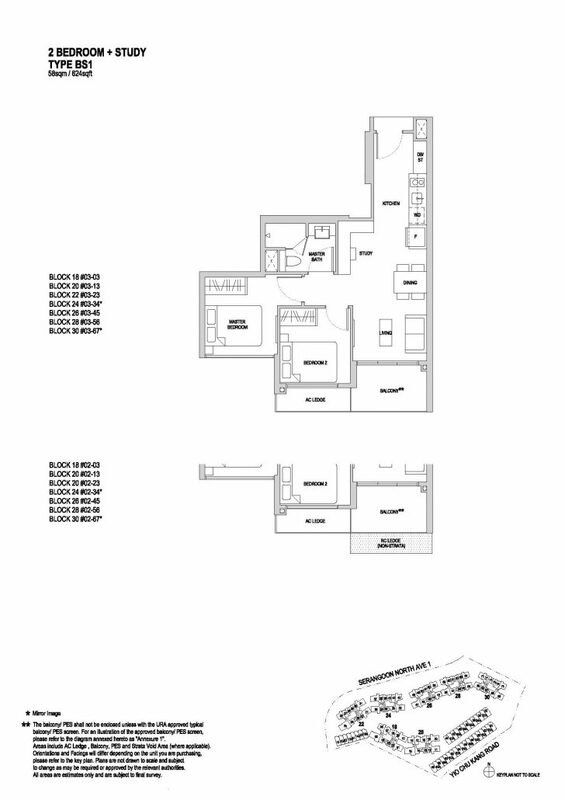 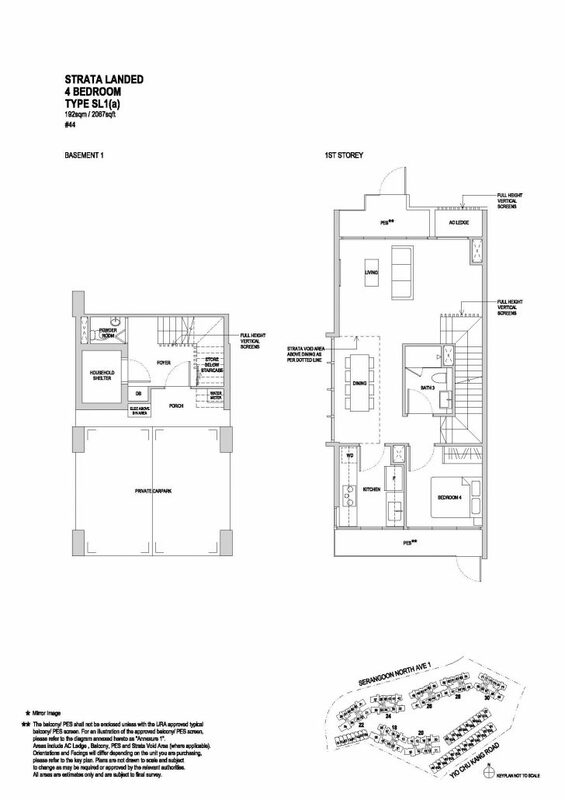 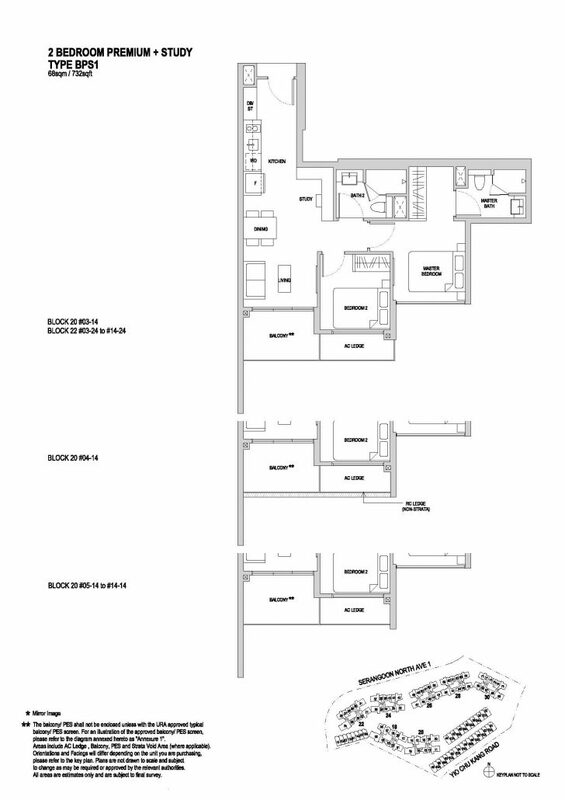 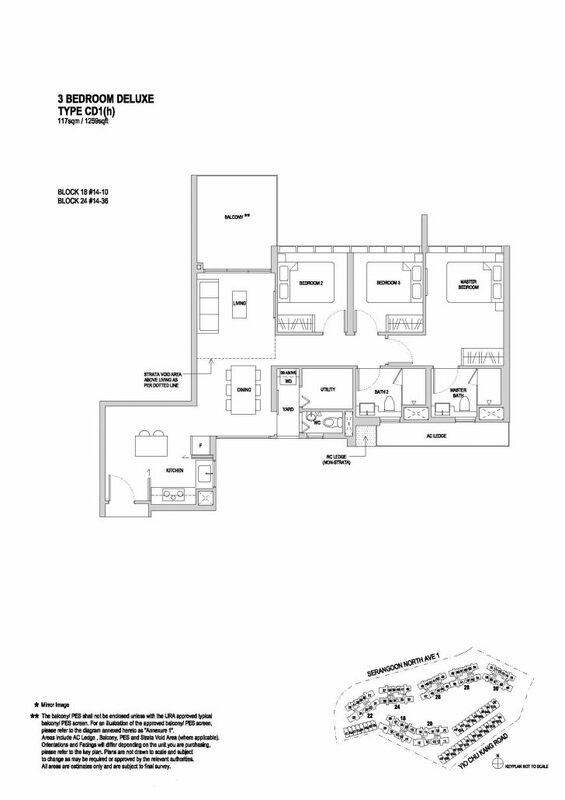 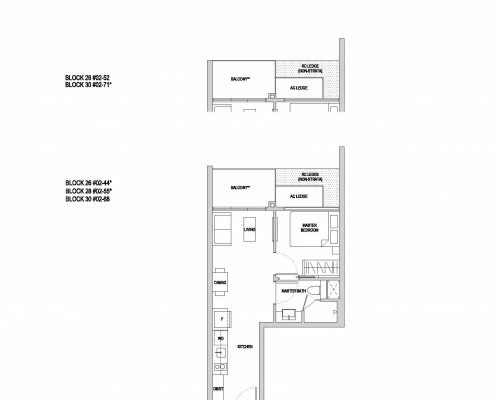 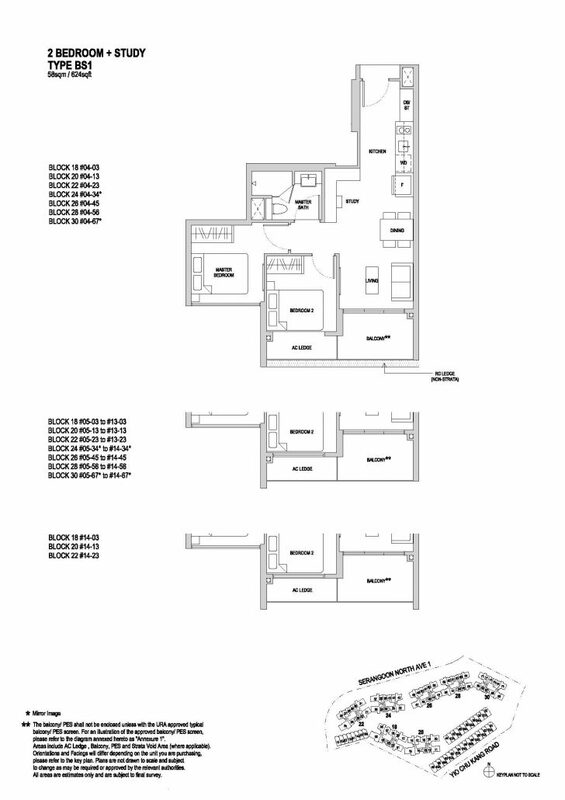 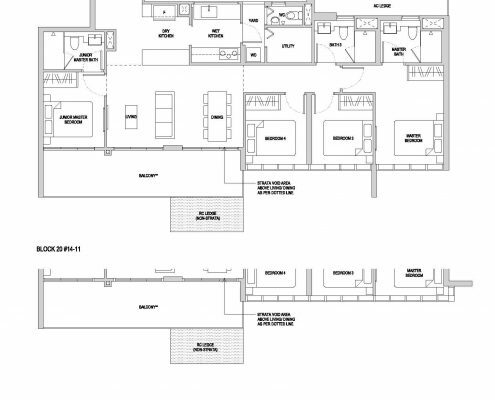 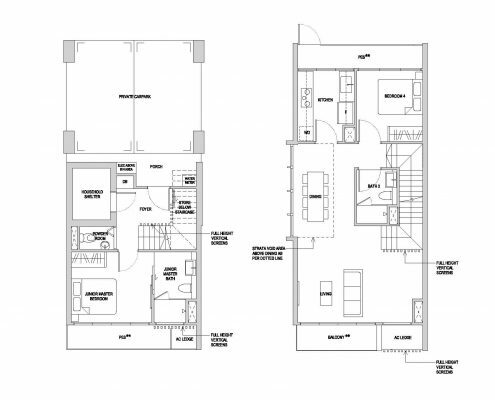 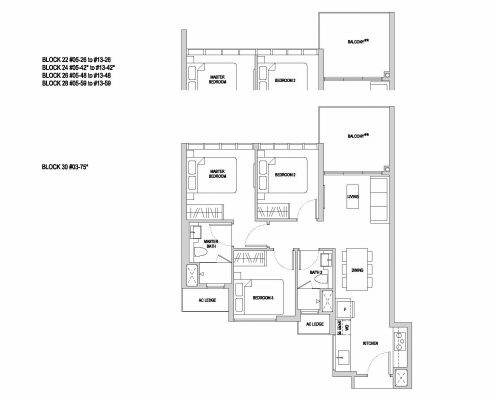 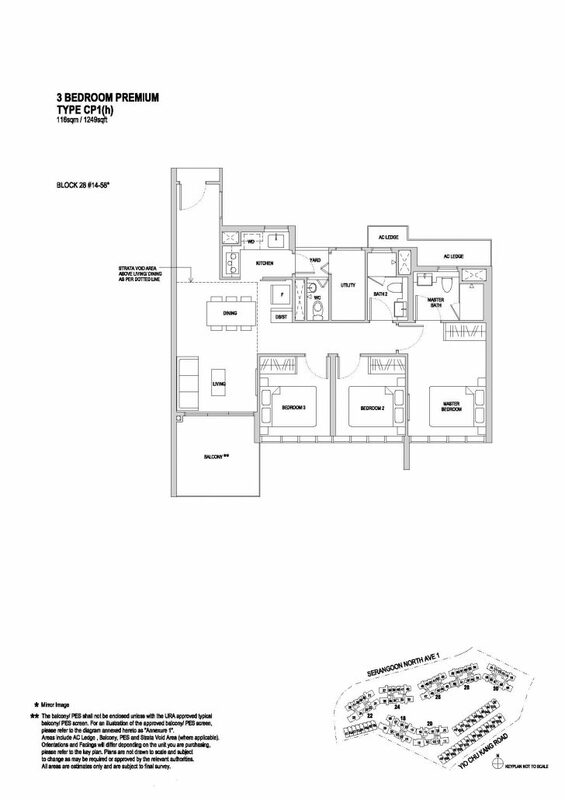 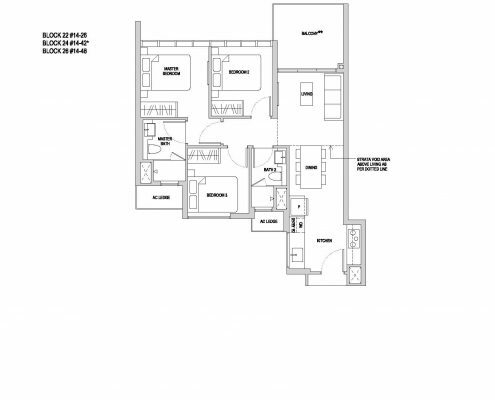 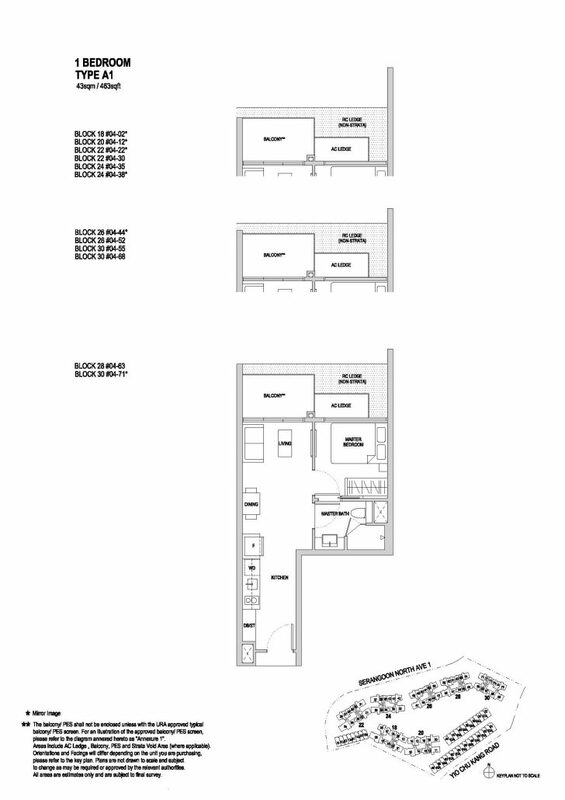 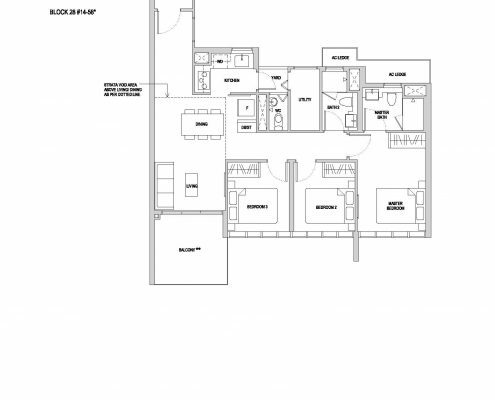 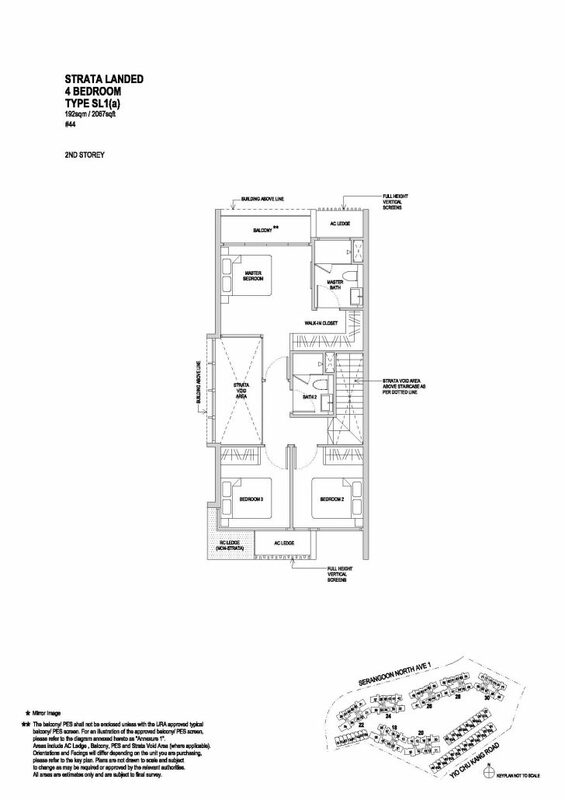 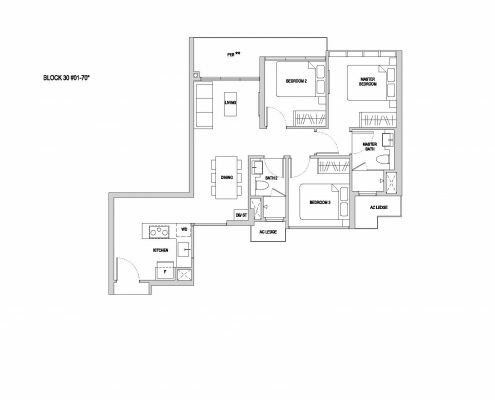 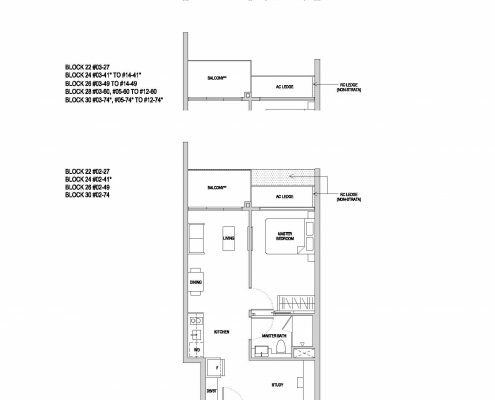 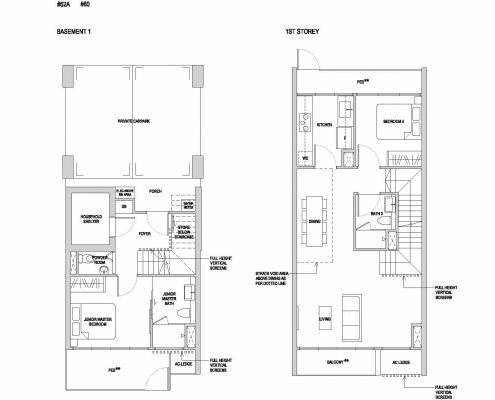 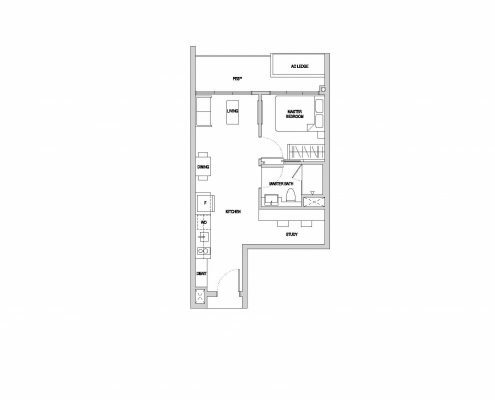 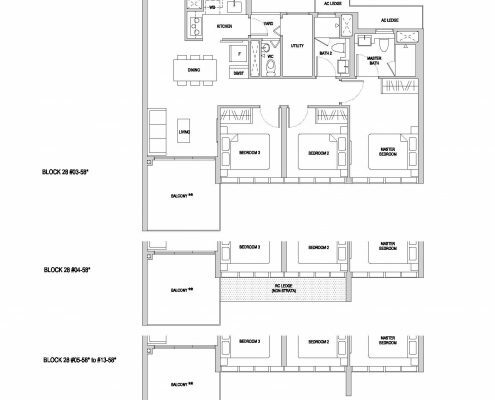 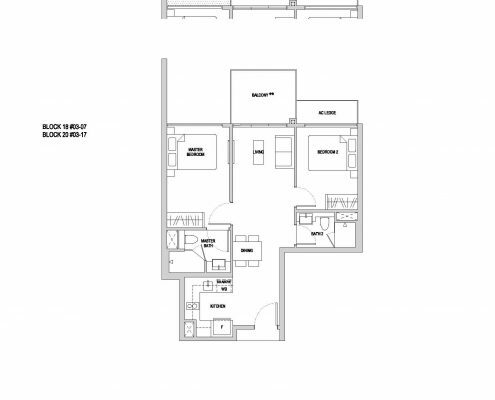 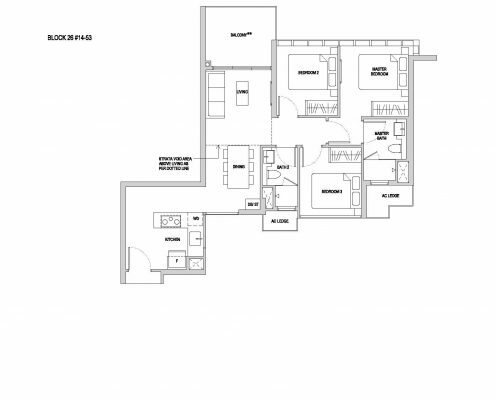 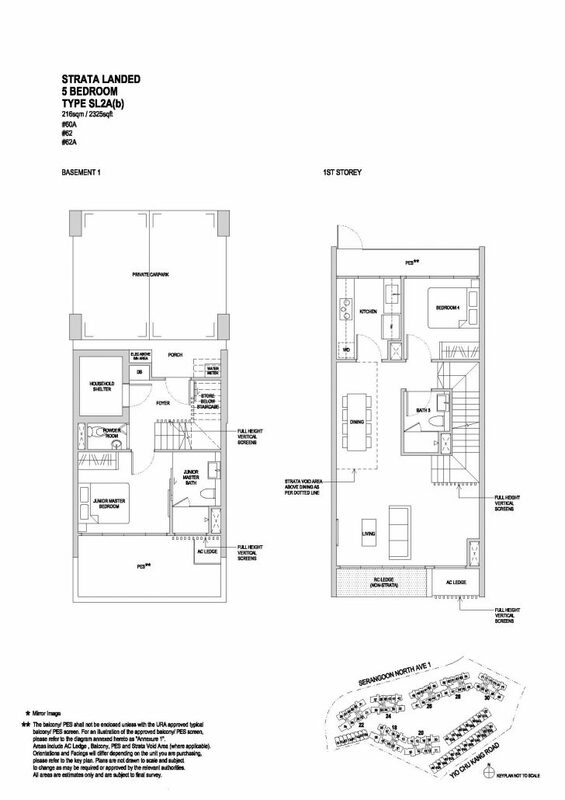 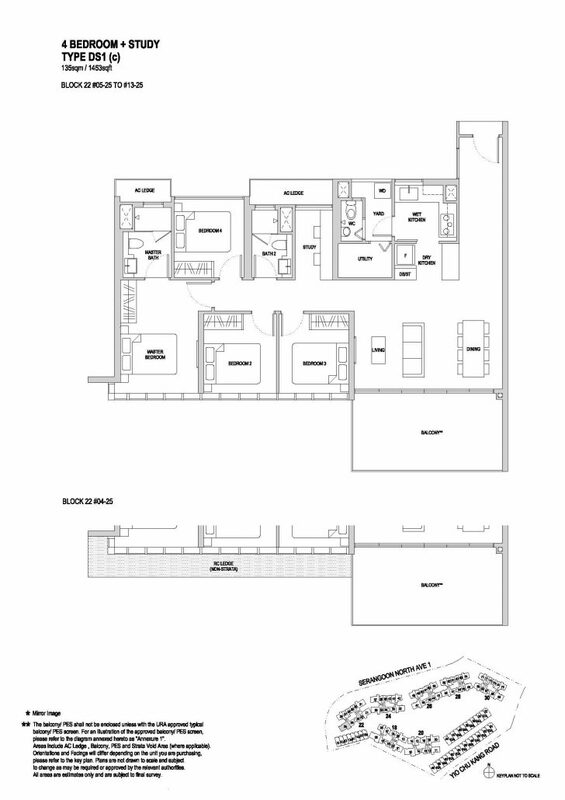 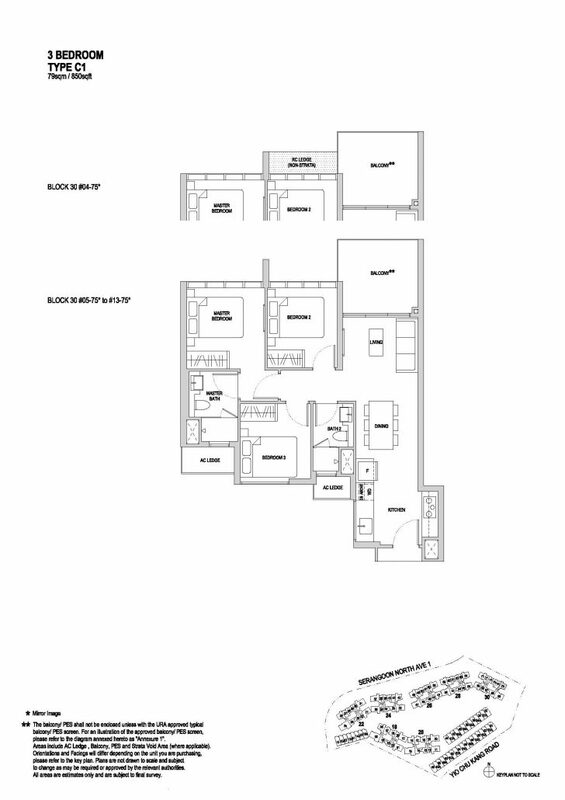 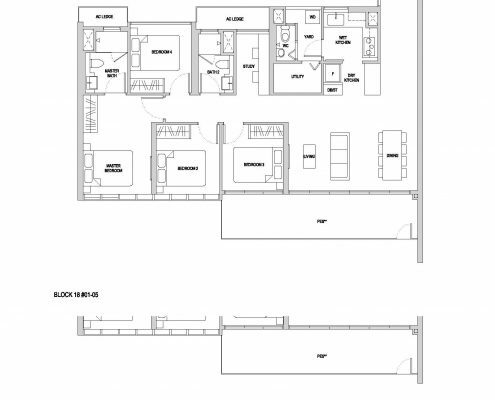 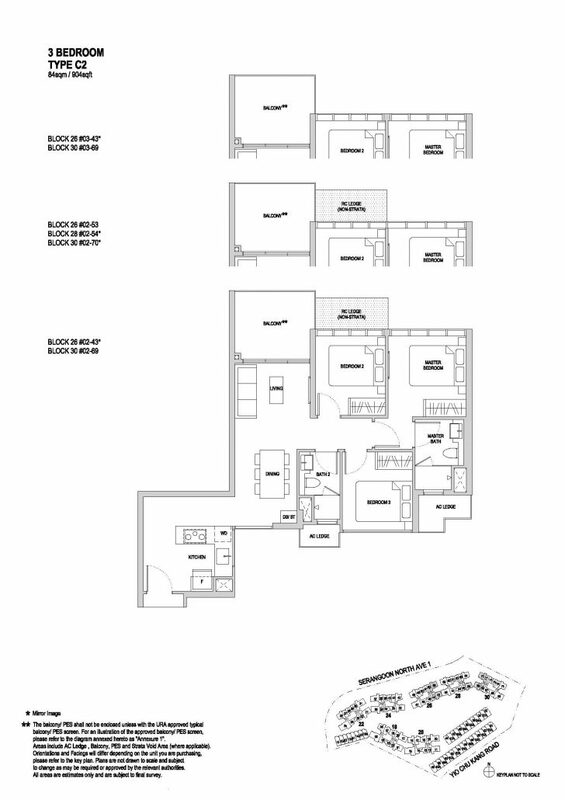 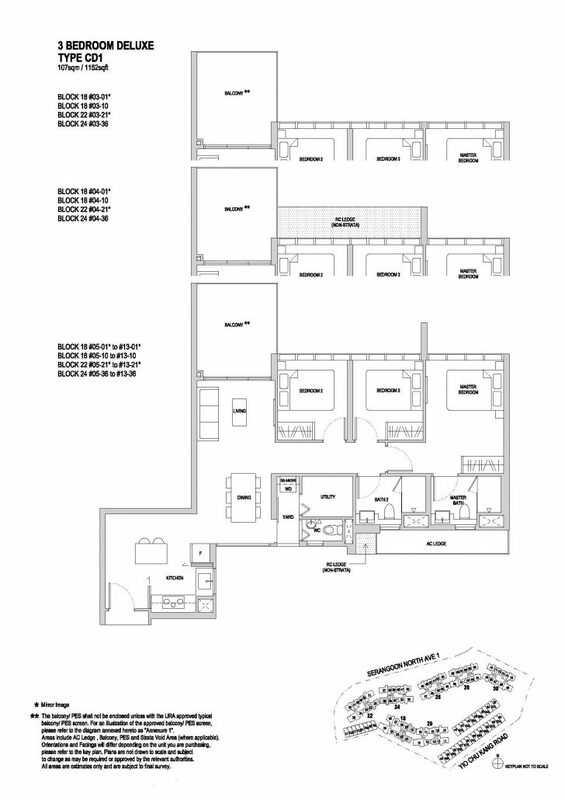 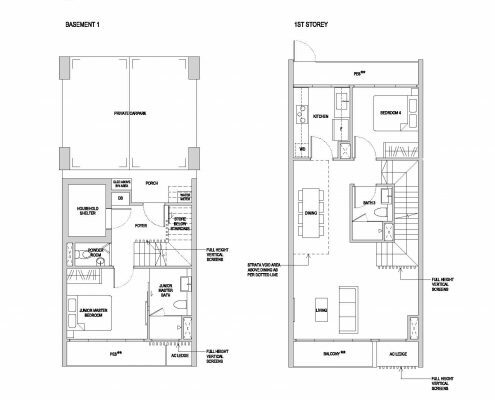 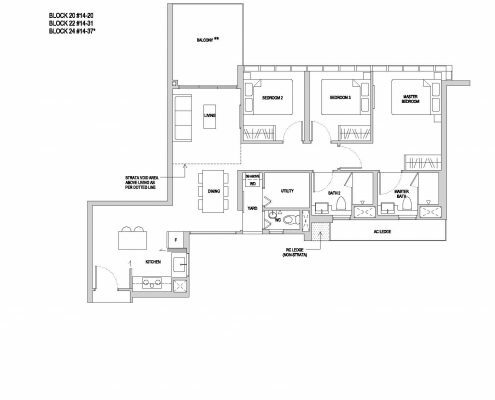 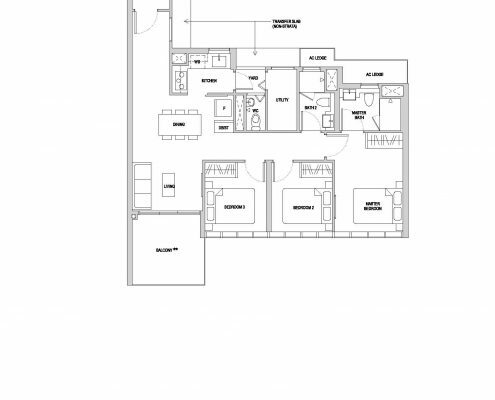 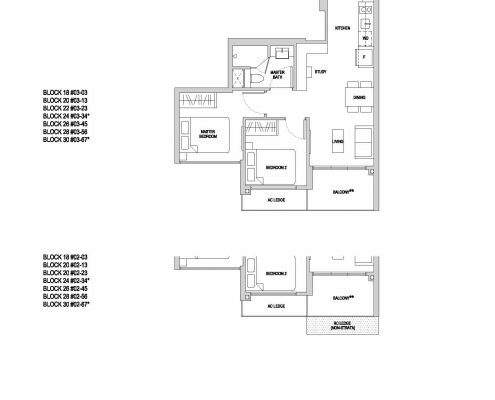 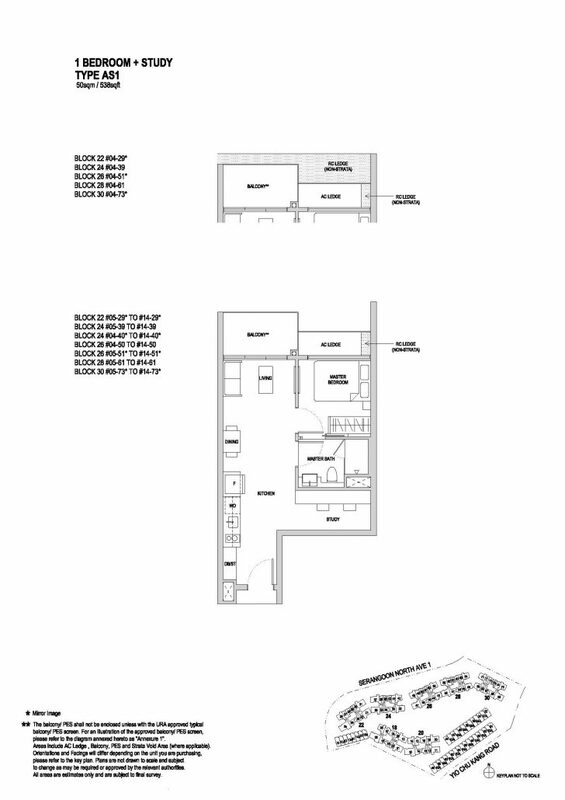 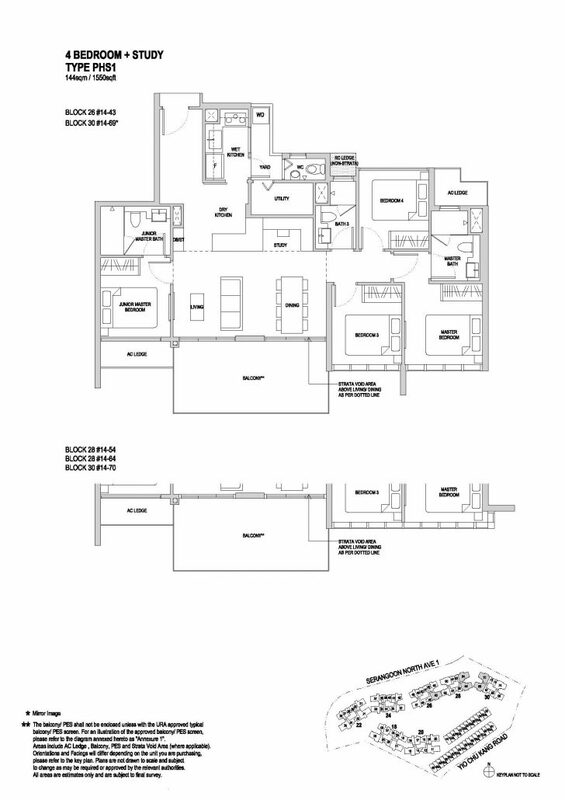 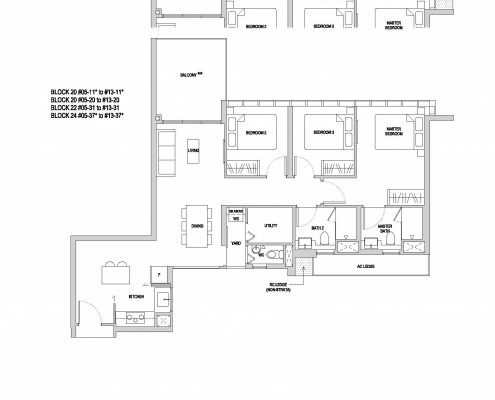 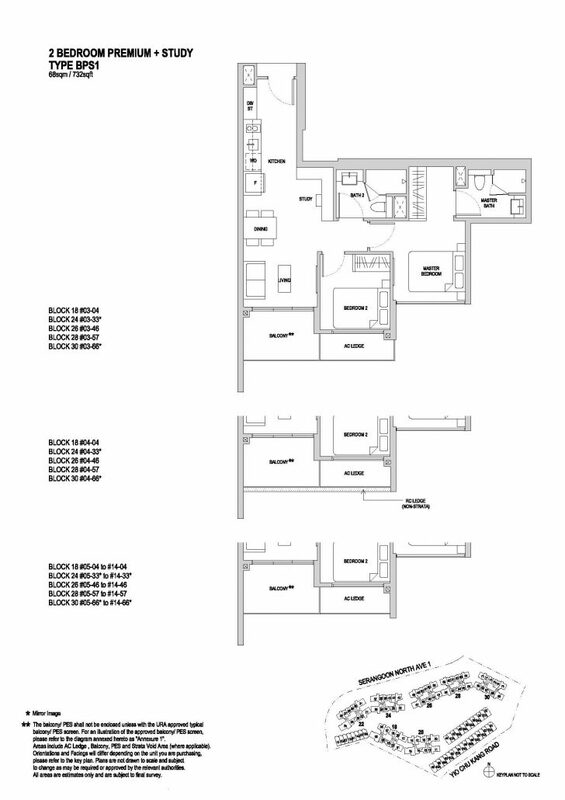 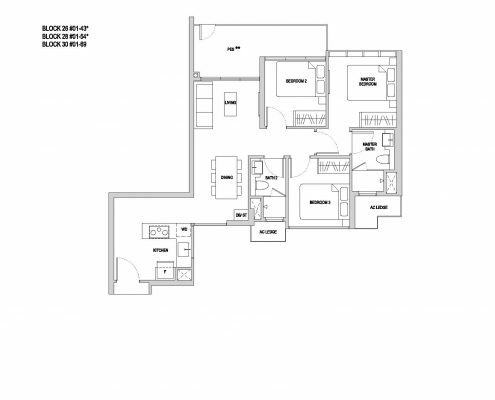 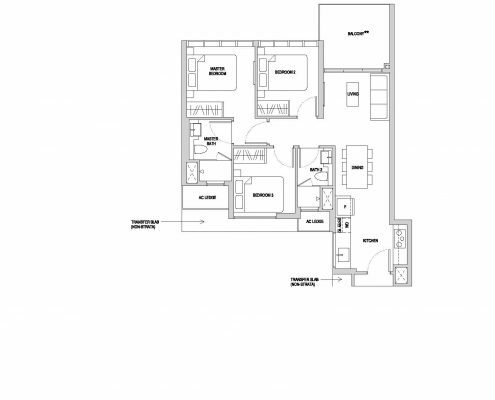 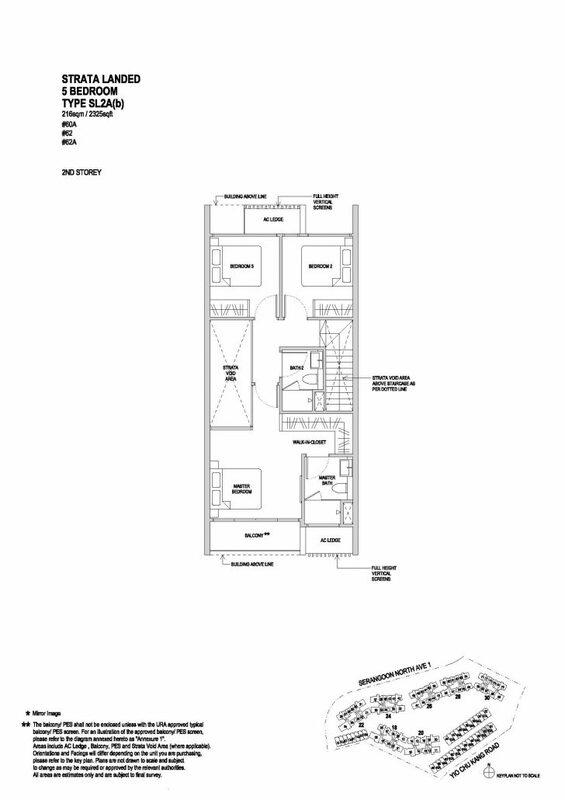 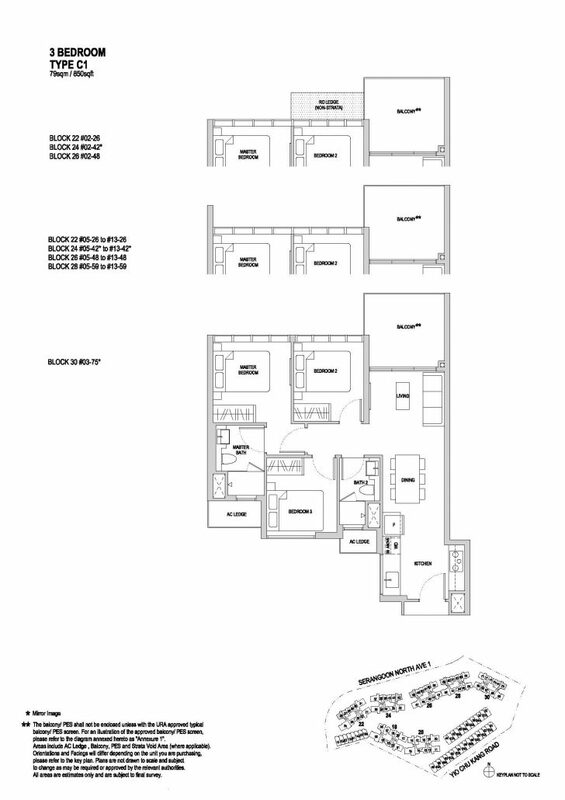 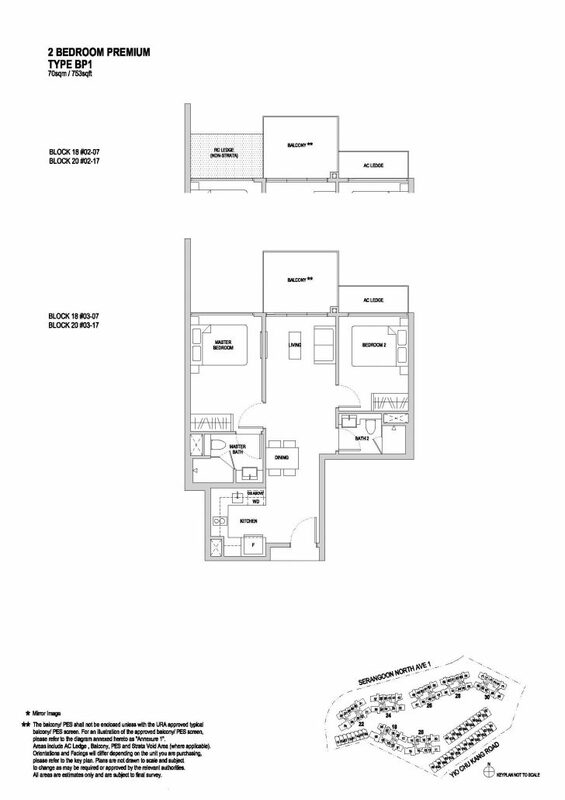 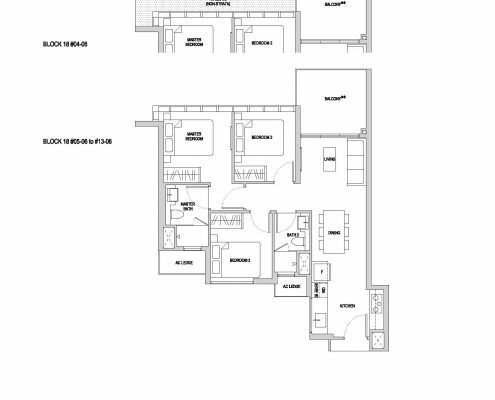 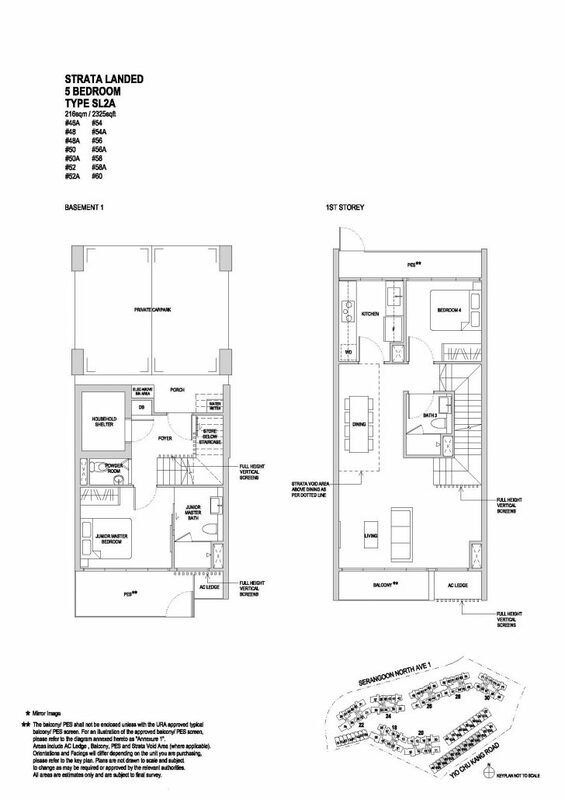 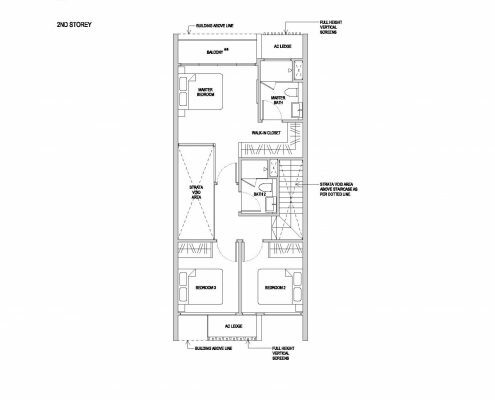 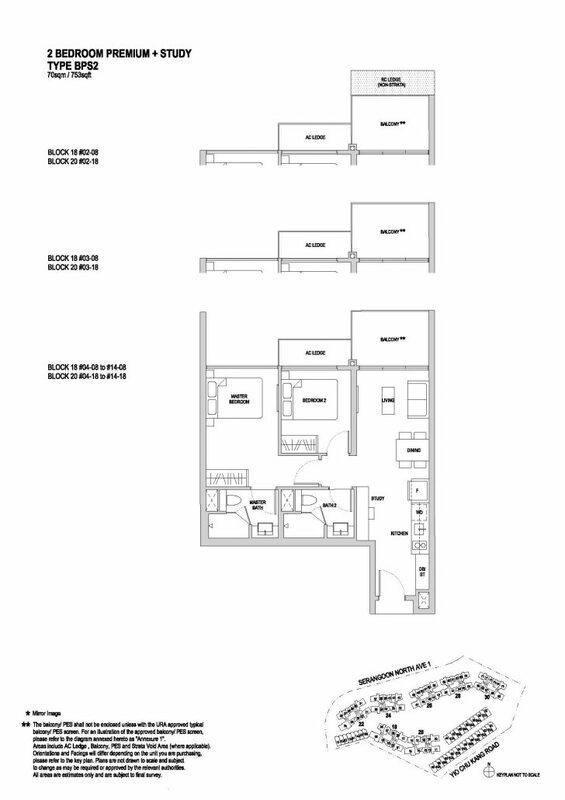 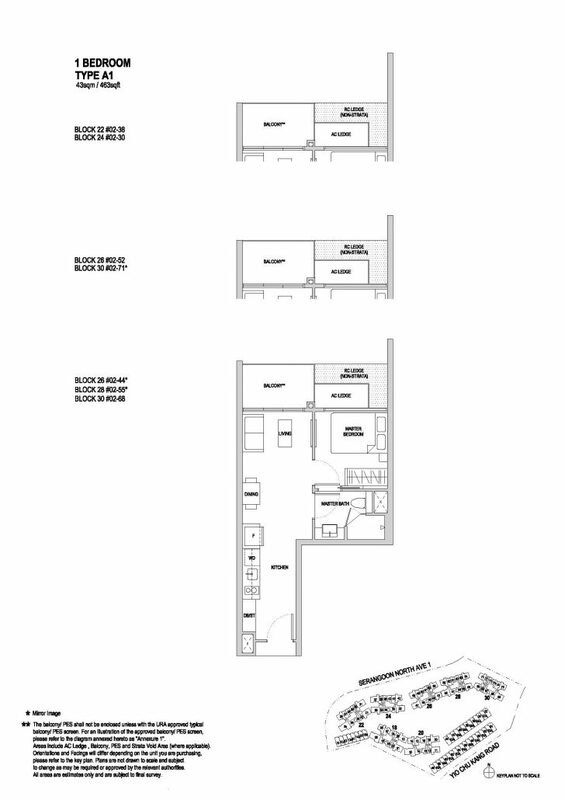 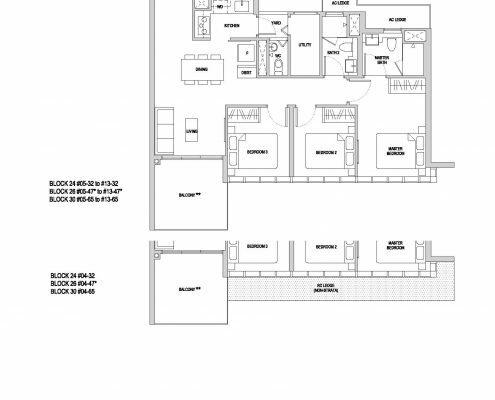 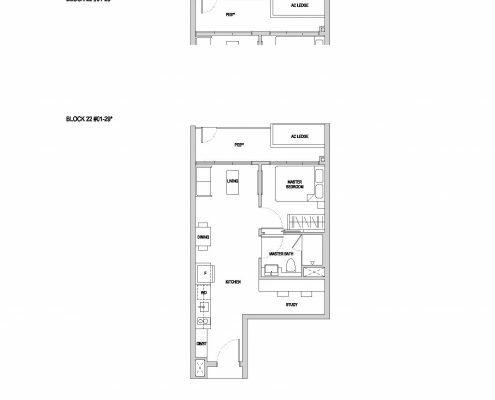 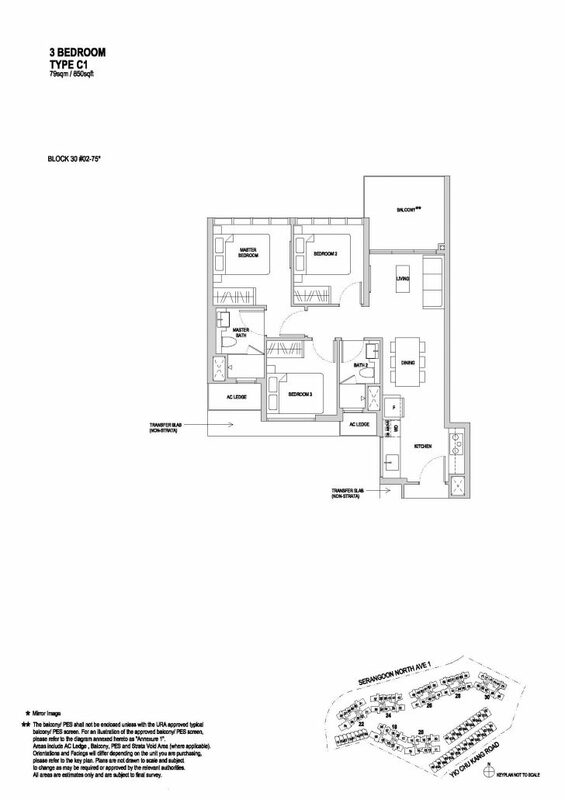 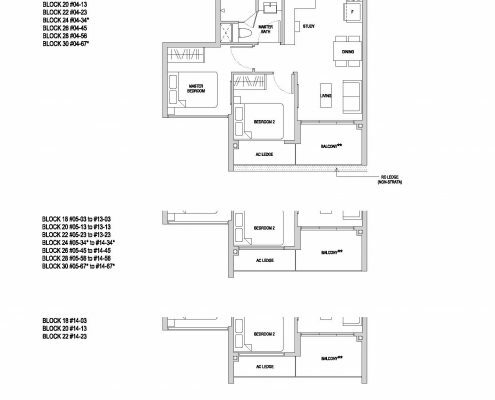 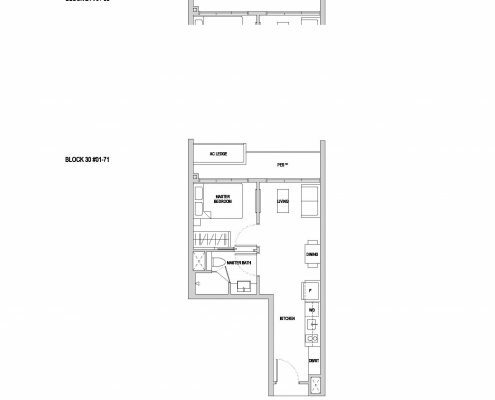 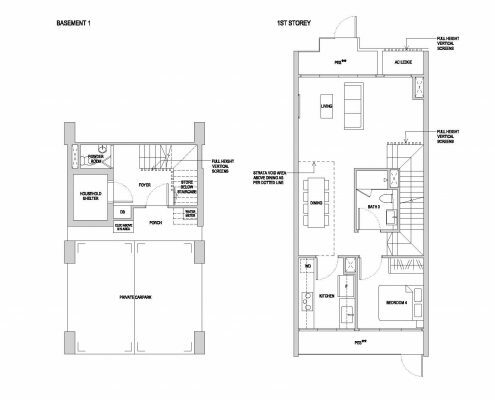 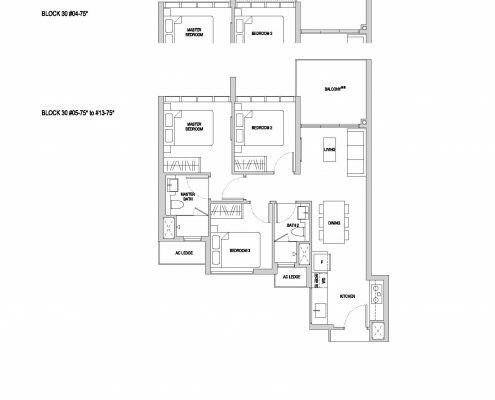 Few of floor plans have dimensions in millimeters. 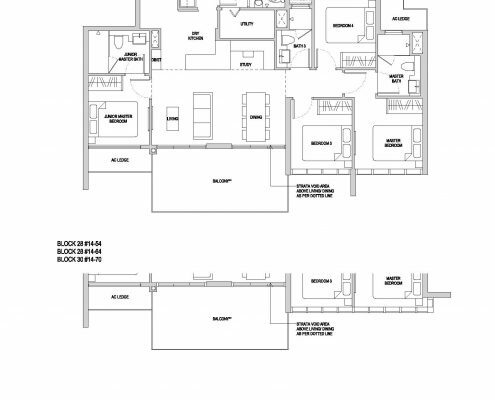 These are important in order to estimate the size of every room and decide which things need more improvement. 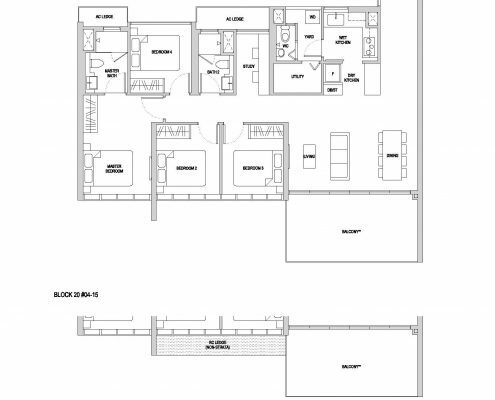 Shape of each room can also be seen by floor plans. 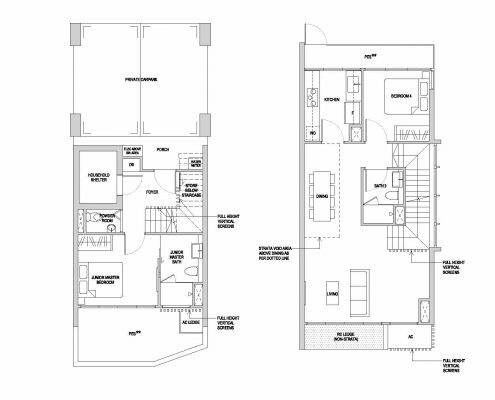 Ideal shape is boxy. 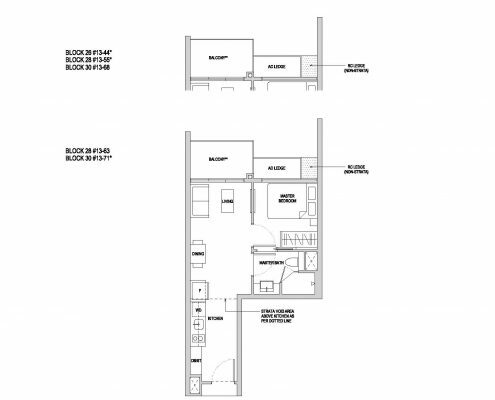 However, odd corners make furniture storing tough due to which the corner spaces become useless. 🤩 Latest Affinity at Serangoon Price List As At Saturday, April 20th 2019 updated, Register to receive the price list! 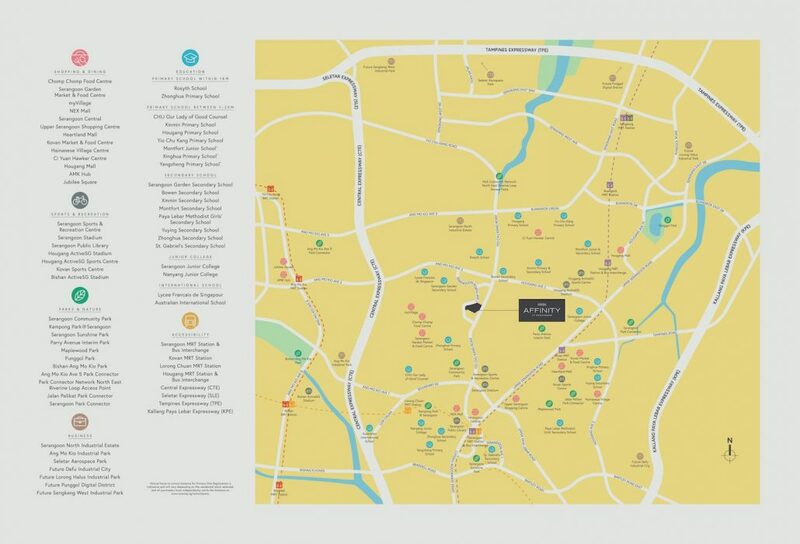 I'm interested in Affinity at Serangoon! 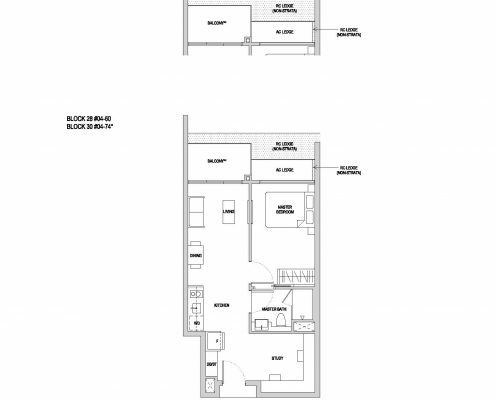 Please contact me ASAP as I would like to register myself for an exclusive invitation to the show gallery & enjoy maximum direct VVIP developer privileges! 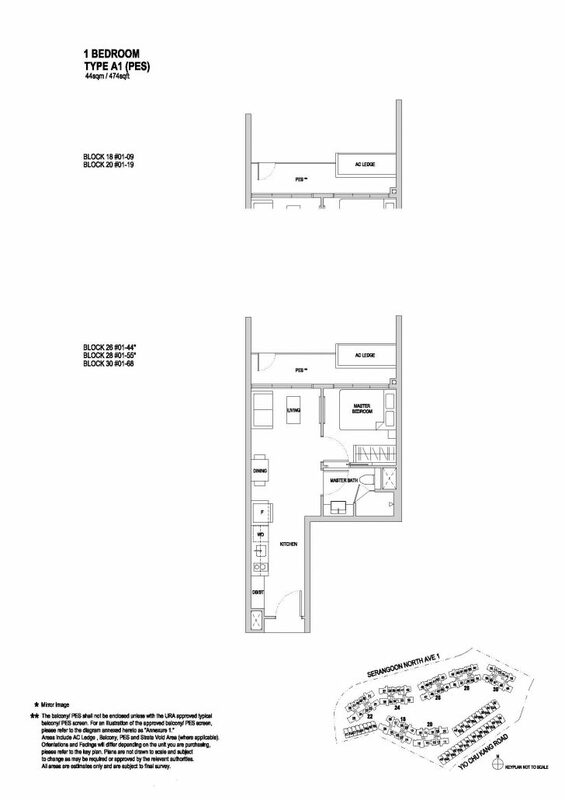 Price List Updated Register Now!